We’ve seen many kinds of storage options for makeup, such as the currently popular acrylic storage (check this one from The Beauty Bee), or a full vanity table setup (like this again from The Beauty Bee, or this from Erikajjang). Not all of us have the room space for a vanity table, or even the table space for acrylic boxes. As one of such people, I have to resort to other creative options to store my makeup. My solution: a hanging setup. Basically I purchased one of those hanging storage for accessories; I think this particular one is from Landmark Trinoma, and costs about Php180. I originally purchased this for its intended purpose, for accessories, until I appropriated it for my growing collection of makeup. I like this one particularly because it has many sturdy transparent pockets. 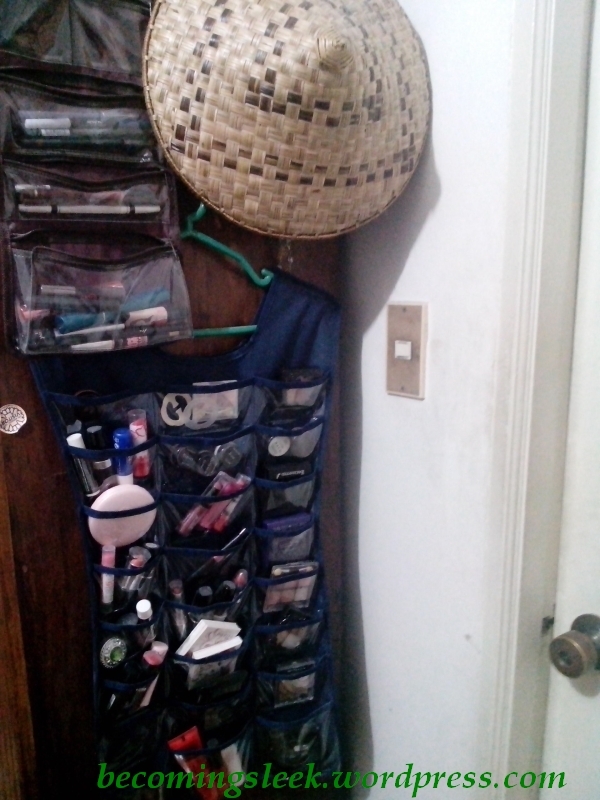 I used the entire right side to house my squarish eyeshadow palettes, the left and middle columns for the lipsticks and other miscellaneous items. 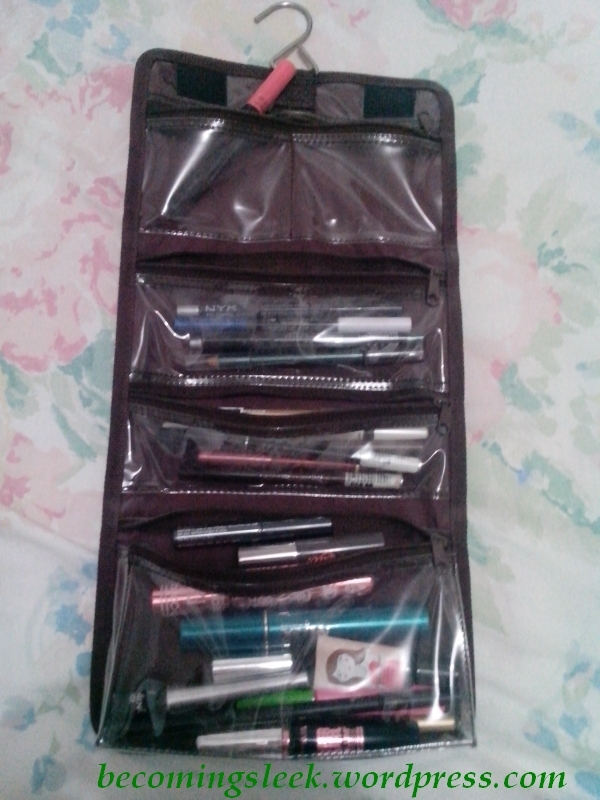 My pencil-type makeup items are housed in this smaller hanging storage. I think this one is really meant for makeup, but as a traveling kit. 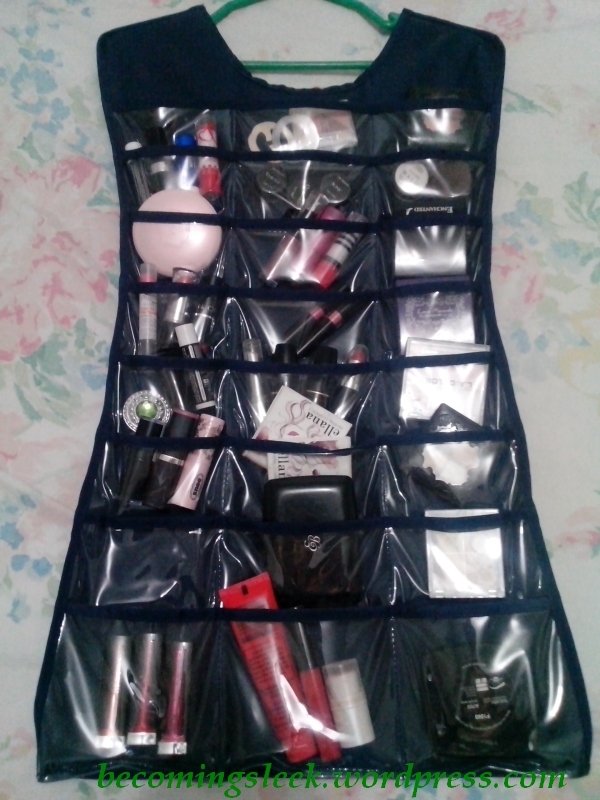 I made this a permanent holder for the long, slim makeup items such as eye pencils and mascara tubes. This hanging storage costs slightly more than the first one, I think around Php250. I used these hooks to hang up the two. Here is how it actually looks like, at the side of my closet. This is of course not everything I have. My bases are untidily stored in a tray inside this cabinet, as well as my larger eyeshadow palettes, and my blushes. I will eventually get a vanity table as it’s really hard to apply makeup standing up but for now, this will do. What do you use for makeup storage? I expect to have less and less hauls as the months roll by. I’ve been spending too much and I’ve already received a lot of interesting stuff to try, so I have decided to tone down my purchases. Here are the things I bought for the month of September. 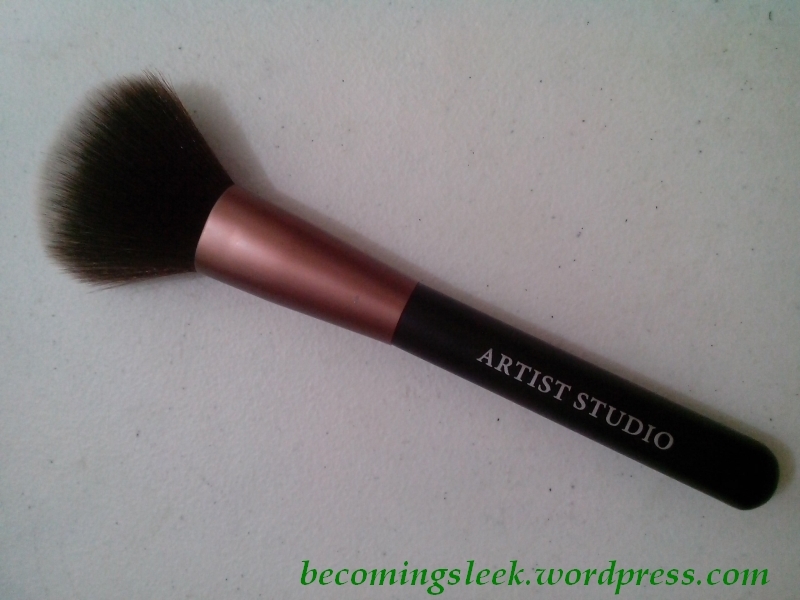 This has been on my wish list for some time as I’m working my way to a complete set of Artist Studio brushes. 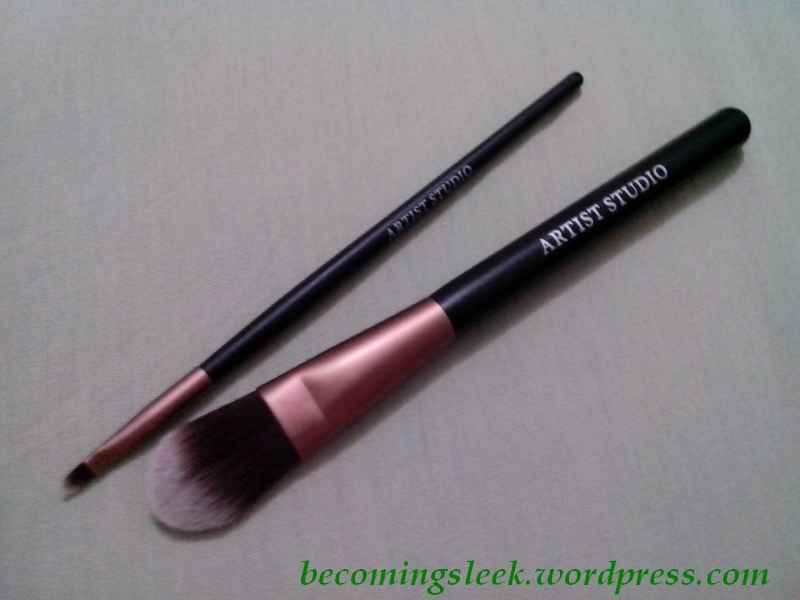 The foundation brush costs Php79.75 while the lip brush is Php49.75. I received this unexpectedly in the mail this September. It came in a gigantic brown box and it contained this neat transparent tote. 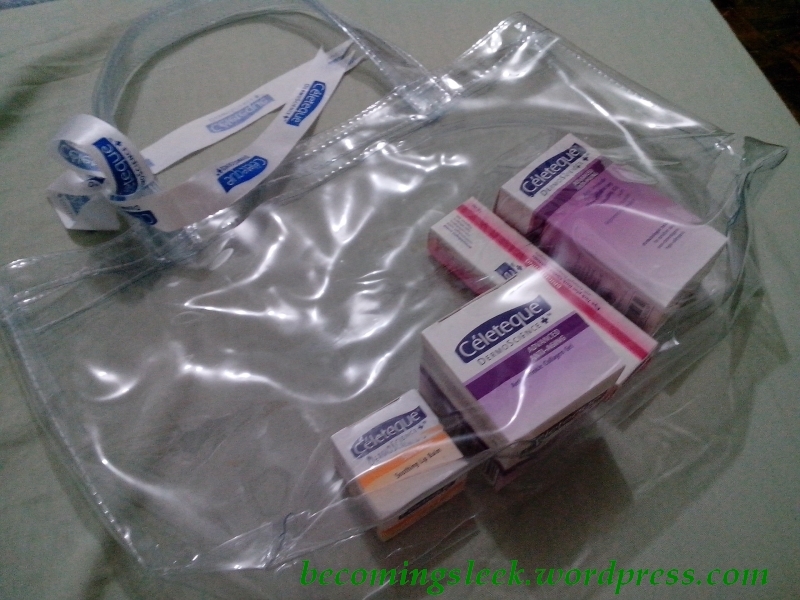 It also has these four Celeteque products that I don’t mind receiving at all: Soothing Lip Balm, Anti-Wrinkle Collagen Gel, Eye Tuck Plus Dark Circles Lightener, and the small version of the Cleansing Oil. 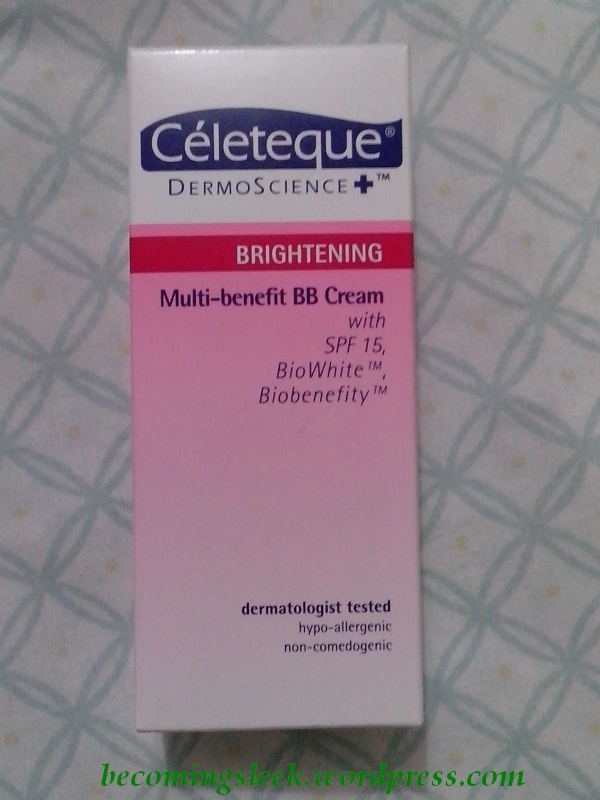 Thank you Celeteque! 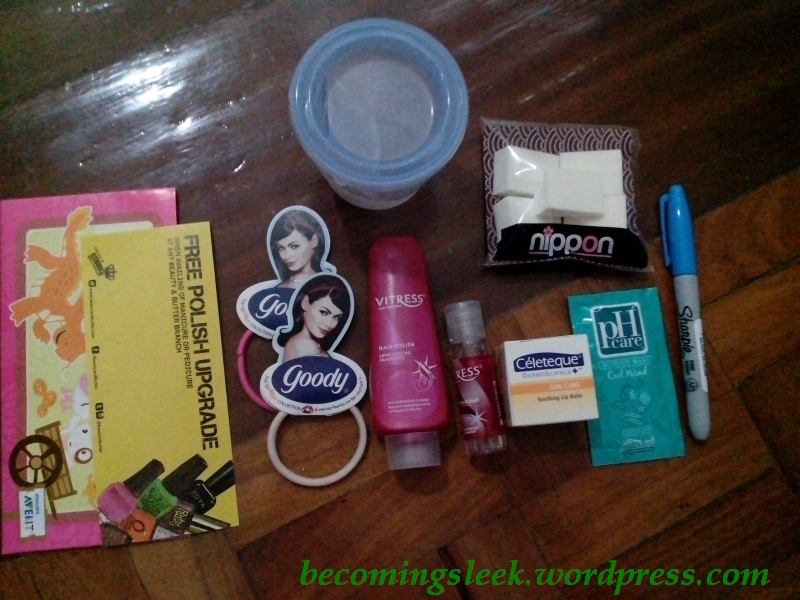 I attended the Goody Come Play event last September 14, and received the following in the Loot Bag (clockwise from the top): Philips Avent resealable cup, Nippon Esthetics Wedge Sponges, blue Sharpie, PH Care Intimate Wash in Cool Wind sachet, Celeteque Soothing Lip Balm, Vitress Cuticle Coat, Vitress Hair Polish, 2x Goody Ouchless Elastics, vouchers from Beauty N Butter and Philips Avent. Thank you for the wonderful event, Goody! 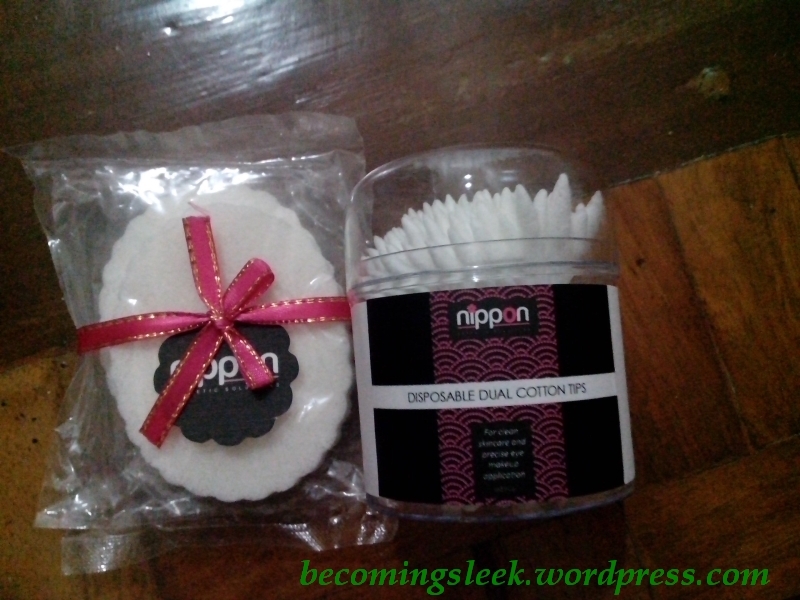 In the same Goody event, I went over to the Nippon Esthetics booth and got a free cleaning of my brushes as well as a pack of cleansing sponges. I love how the cleansing sponges perform and I definitely appreciate receiving these. While waiting for my brushes to get clean, I saw this tub of cotton tips with the all-too-rare pointed ends. I immediately got one, and it costs only Php40. 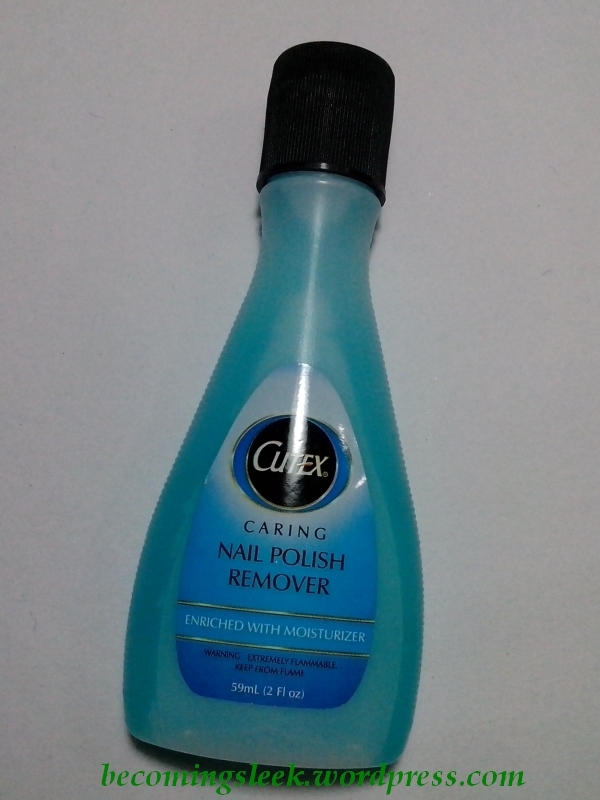 I use this a lot for cleaning up after doing nail art. It happened! 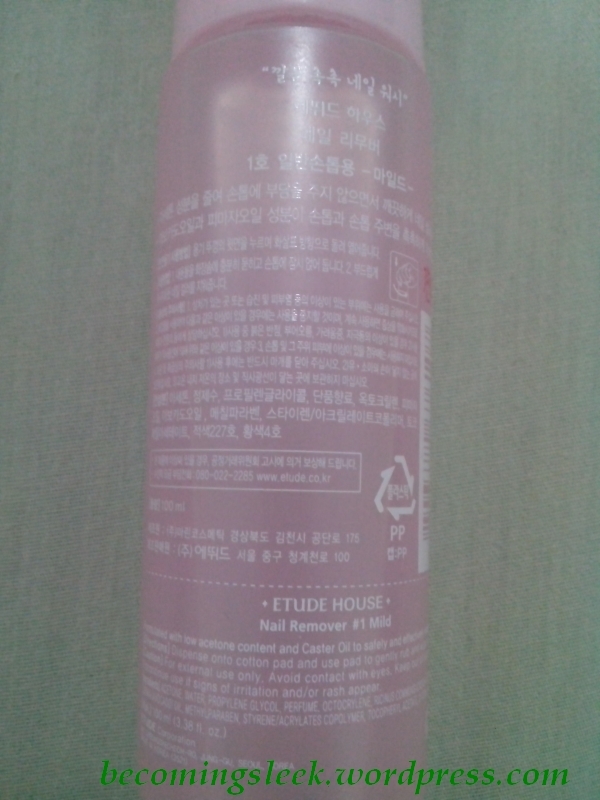 Etude House Philippines has achieved 200k likes on FB, and as promised, they held a 20% off on ALL products. I went last September 16, the Pink Membership exclusive day. 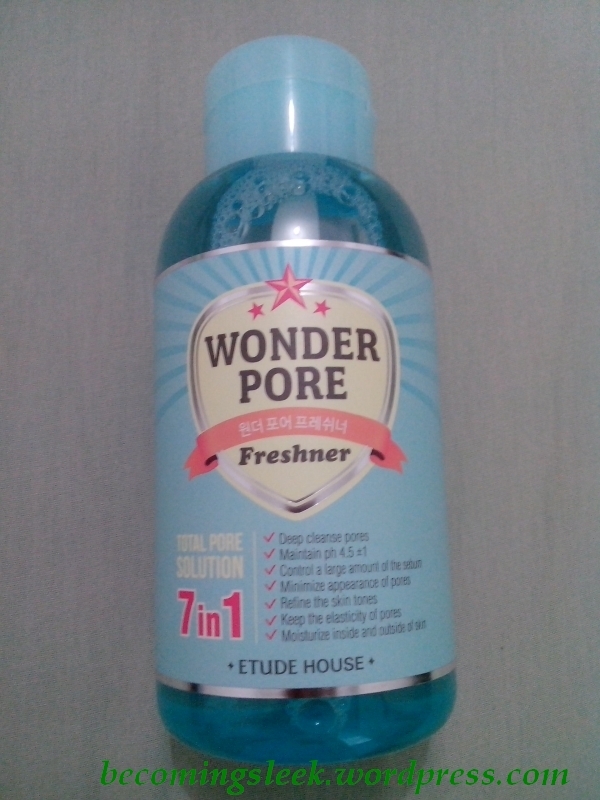 I wanted to get the whole range of the Wonder Pore (cleansing foam, freshner, clay mask) but unfortunately the Greenbelt branch only had the freshner. 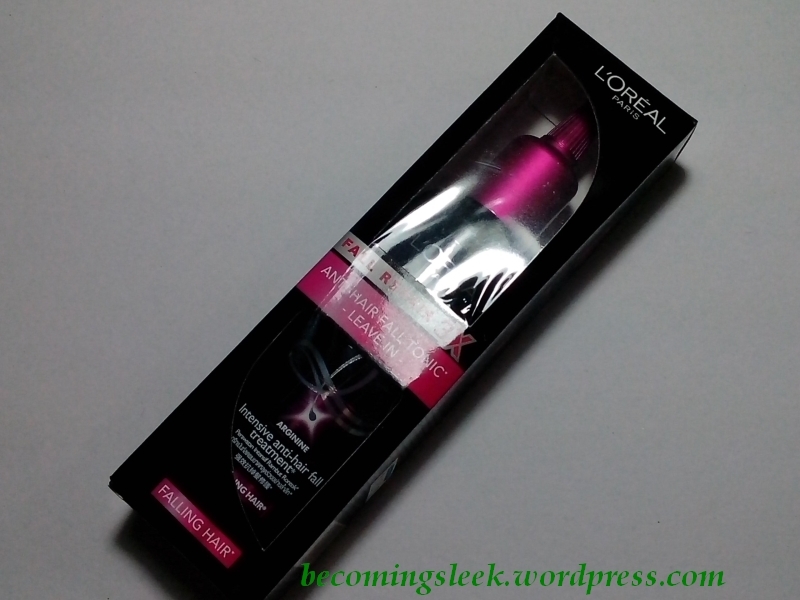 This big bottle costs Php798 normally, but with the sale it only costs Php638.40. 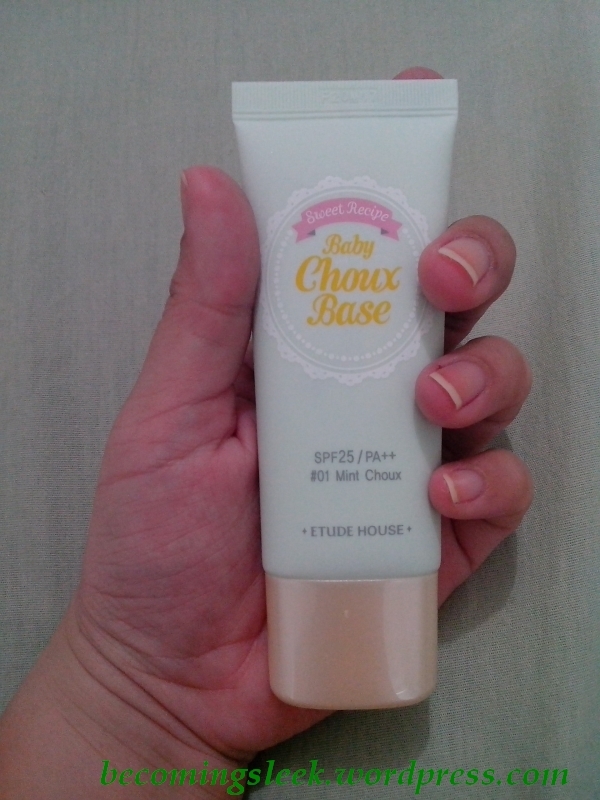 I have also been waiting for the Mint Baby Choux Base to be released, but strangely EH seems to have phased out the tub version and only have the tube version now. It costs the same as before, normally at Php628, but with the sale it’s down to Php502.40. 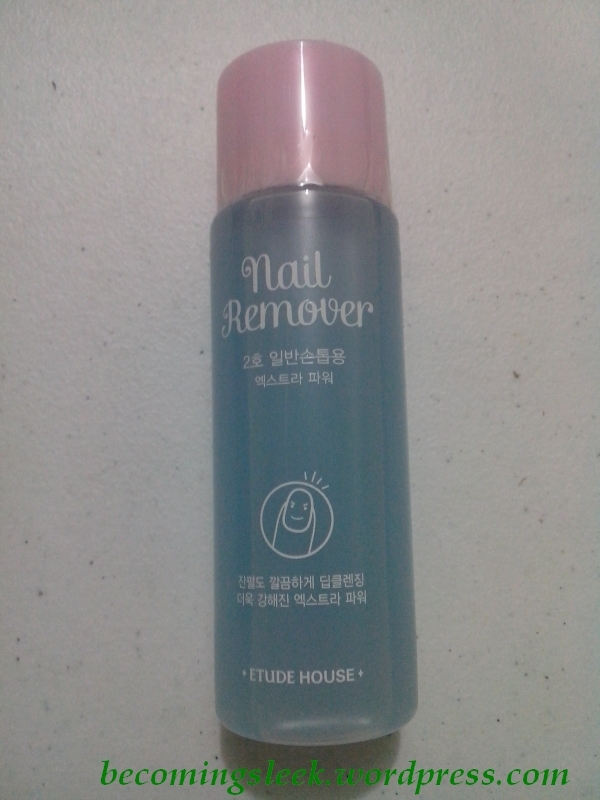 Lastly I wanted to get the mild version of the Nail (Polish) Remover. 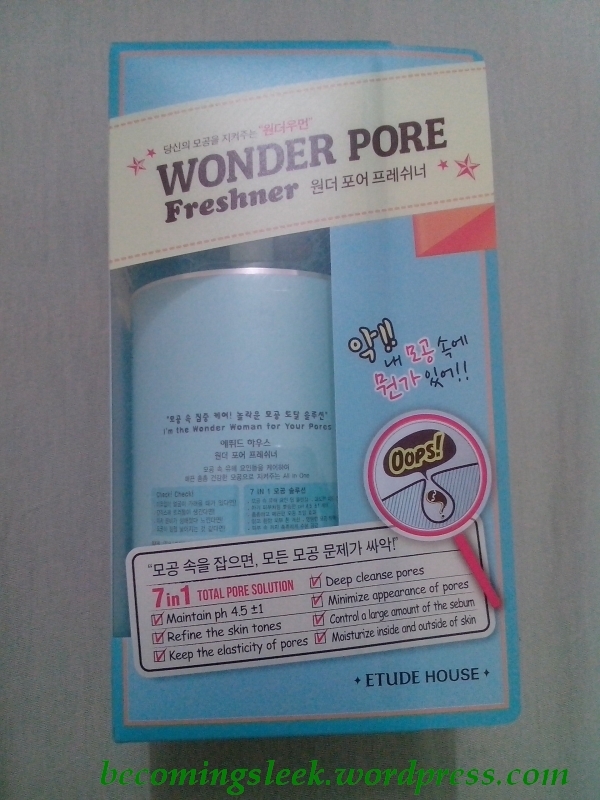 This is normally Php98, but I got it for just Php78.40. I was pleased with the Extra Strong version so I wanted to see how the mild one performs. This month I was able to snag two Sampleroom loots. 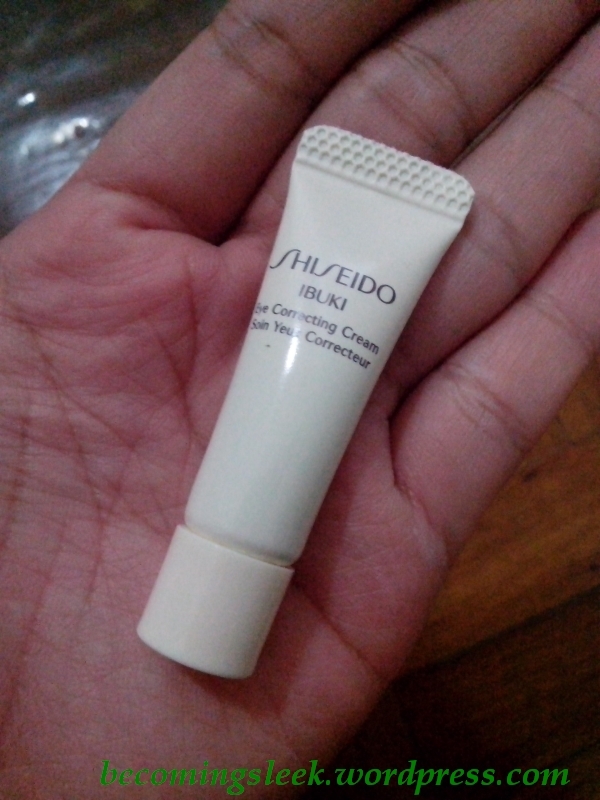 The first features the Shiseido Ibuki Eye Correcting Cream (awesome, this! ), and I added a batch of Carbtrim to go with it. I’ve always wanted to try the new line from Shiseido and thanks to Sampleroom I was able to try the eye cream. I’ve always enjoyed drinking Carbtrim too. Now whether it works as claimed is still yet to be determined, as I am fairly inconsistent when drinking this. The eye cream is worth 70 points while the carbtrim is 45 points. 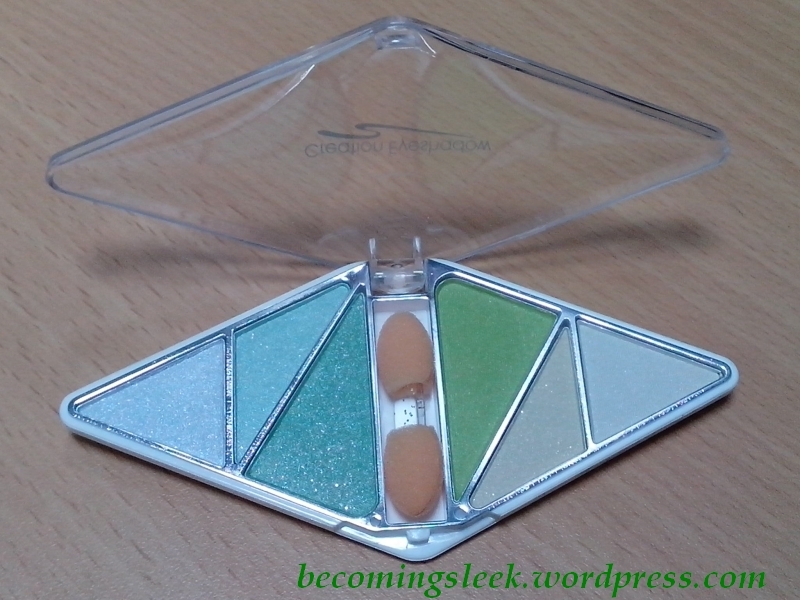 The second set was when Sampleroom released the goodies from Beauty and Minerals makeup store. 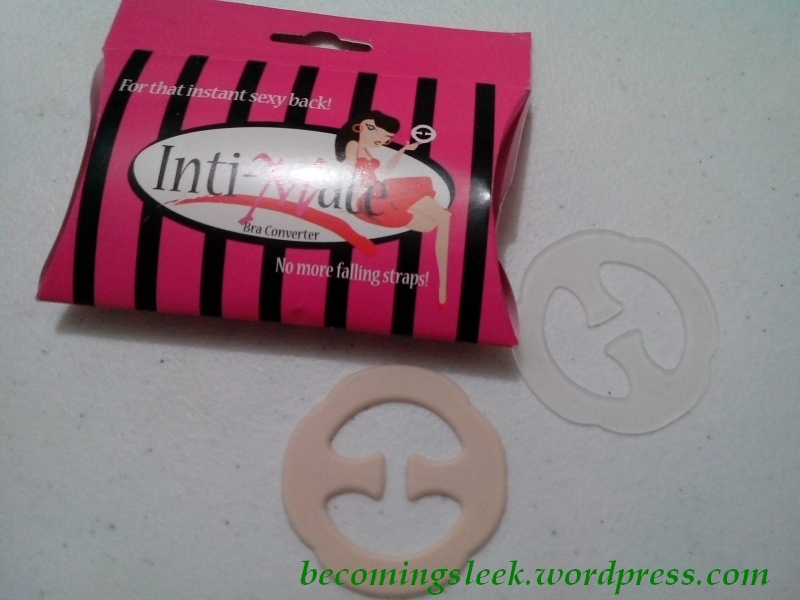 I immediately snagged myself the Charm brush (75 points) and I ordered the Inti-Mate Bra Converter (50 points) as well. The bra converter came in a set of three, but I immediately gave one to my sister-in-law so she can try it too. I of course couldn’t resist getting the rest of the set of OMG Crystal Sand. I’ve swatched the first three, and I decided to get the other four because it really is so worth it. It’s very pretty and there’s nothing more affordable than this! 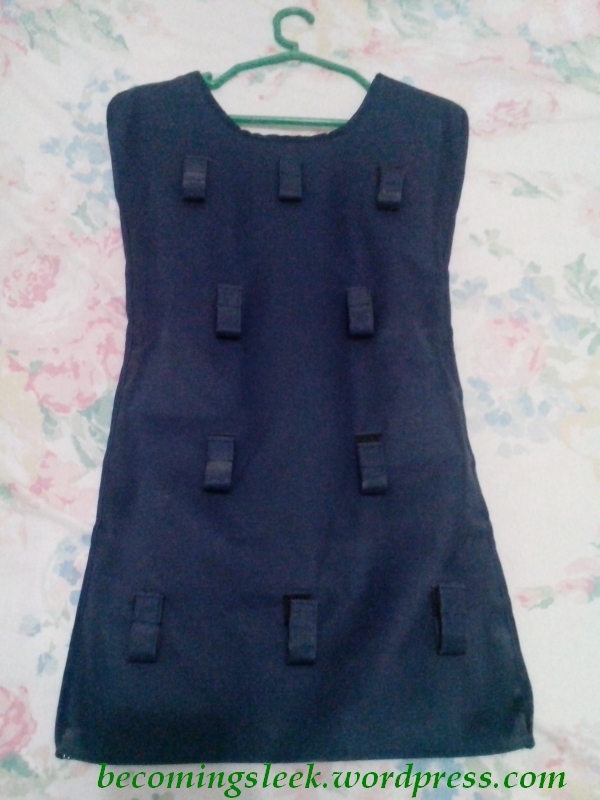 I bought this from Landmark, Trinoma. Erzullie is a brand I’ve recently discovered through twitter, and I like the fact that the ladies behind it are very hands on toward their customers. Erzullie is a clothing brand that caters to plus-size women, and designs pieces that flatter the curvier figure. 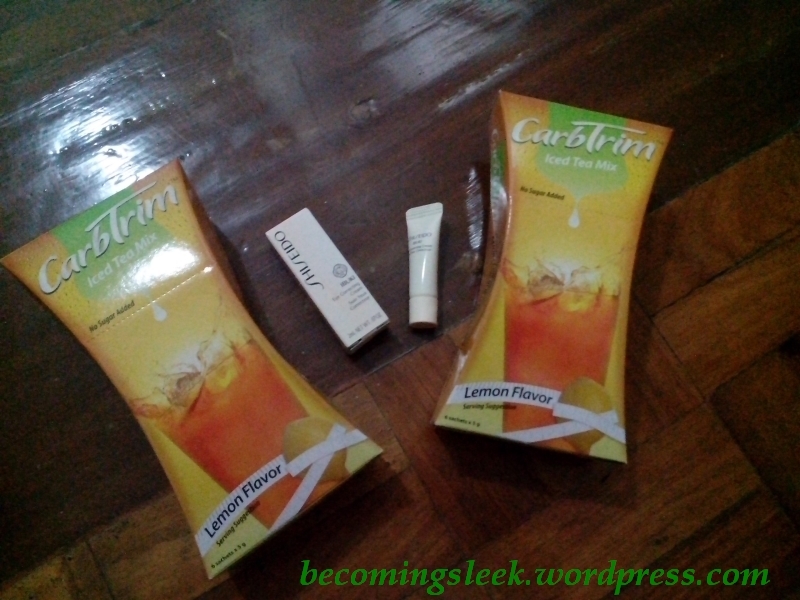 I decided to give them a try when they held a sale of a whopping Php300 per item as long as supplies last. Unfortunately I came in too late, and didn’t really have the pieces I was eyeing beforehand. Nevertheless! I was able to snag four (plus one) items from the remaining stocks. 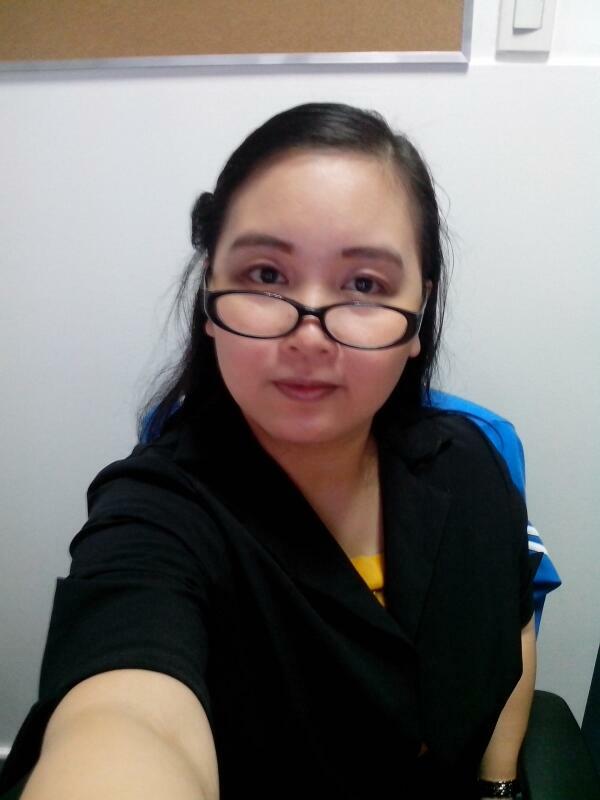 I only have pictures of two in action (black blazer and bolero). 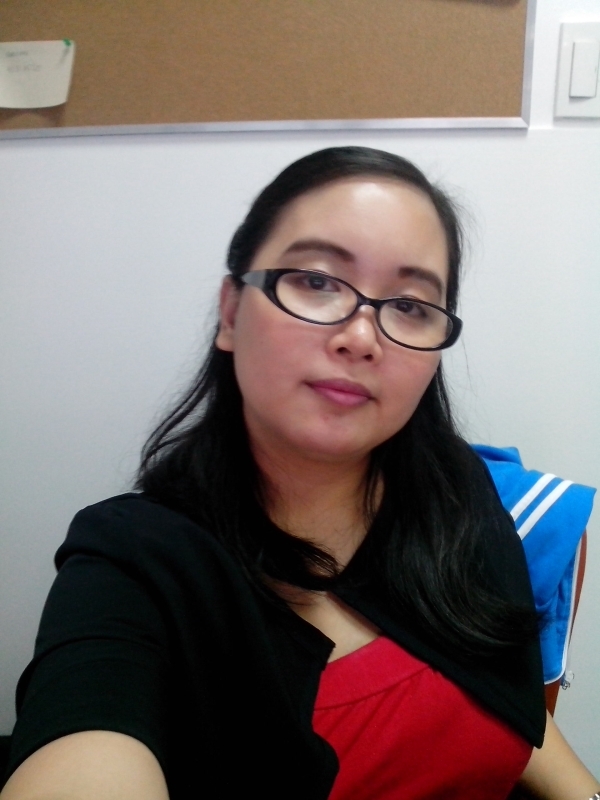 The other two are a black palazzo pants and a black kimono top. (Puro black you ask? Ubos na yung mga colored, for my size! T_T ) As I mentioned earlier, each of these are just Php300 each, and are probably less than half of their full price. Amaaaazing. When I was going out the door Aries (one of the ladies behind the brand) gave me a cute skirt with huge white ruffles, a fun piece! A last minute addition! 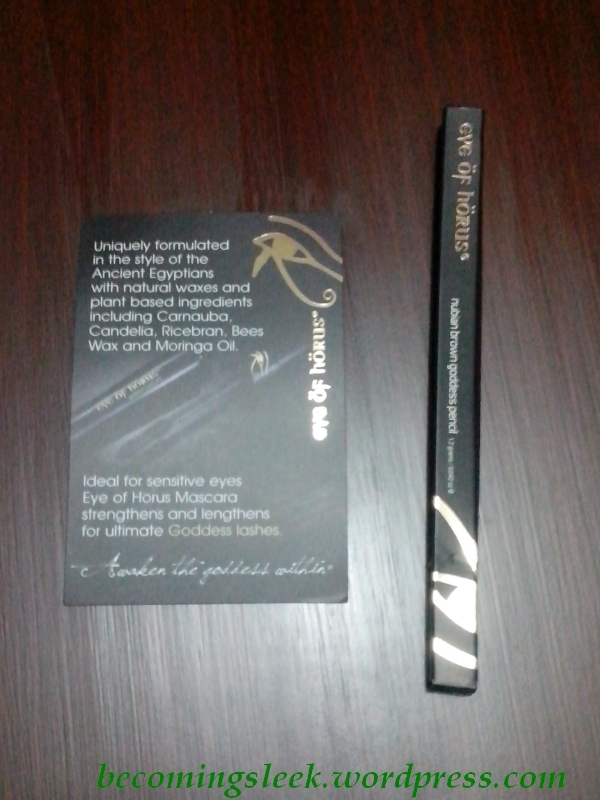 I won the Glamourbox x Eye of Horus giveaway on facebook for one of ten EoH Nubian Brown Goddess Pencils, and it arrived on the same day that the Beauty SOS Glamourbox did. 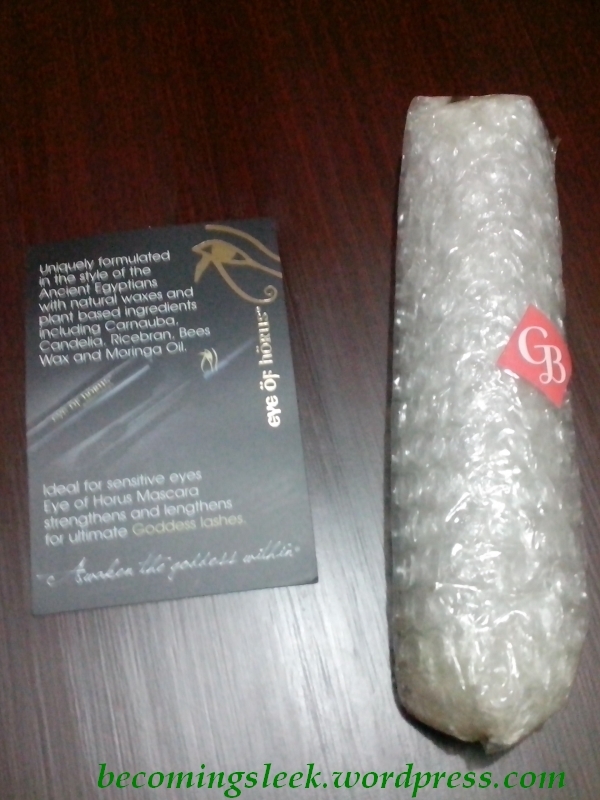 I really like how carefully Glamourbox does its packaging, making sure that my new pencil will not break in transit. I’ve only tried it once so far and I’m already liking it! There you have it! This haul isn’t as small as I initially thought! Let me show you what I got this June-July. You will already have seen some of these in my posts, but I wanted to gather all of them together in a massive haul post. This is a very late June buy. My Afternoon Tea samples were getting a little dry and I wanted to revive them a little. 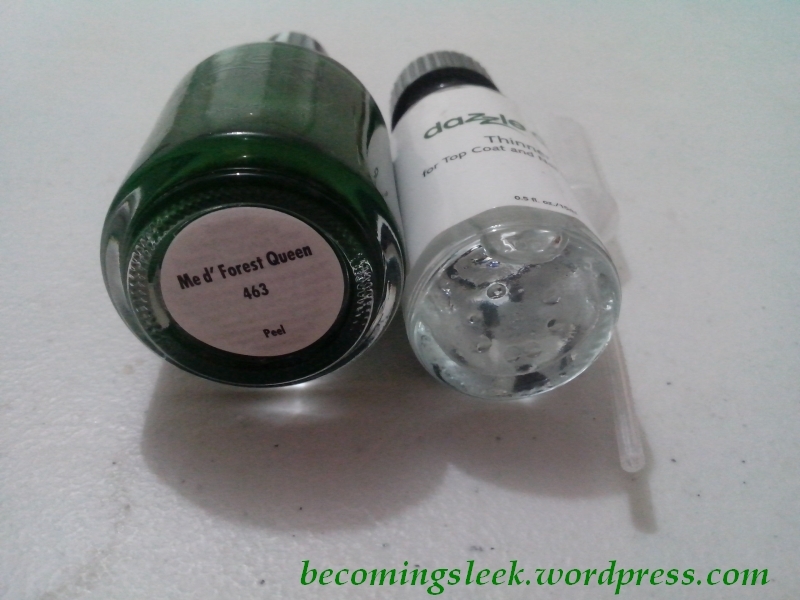 I bought this thinner from the Dazzle Dry website, and I decided to get Me d’Forest Queen at the same time to save on shipping. The thinner worked as expected of course. 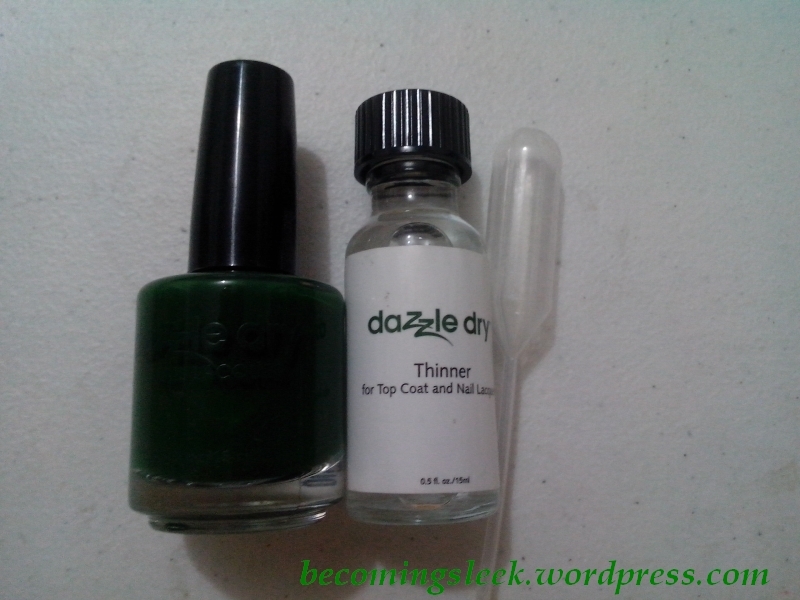 It costs Php175, while the lacquer is Php450. I haven’t done a review of these yet, but I am using these four almost every day. 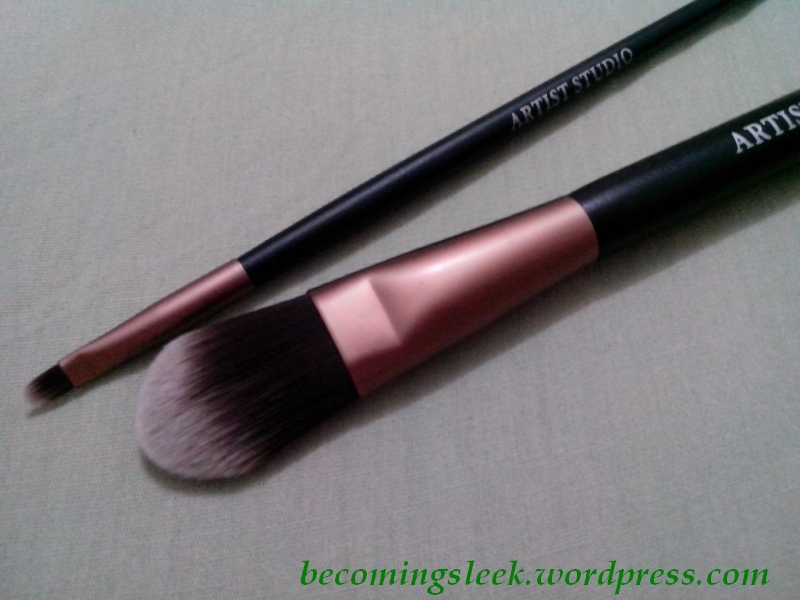 The brushes are very affordable and do a very swell job of helping me apply makeup. 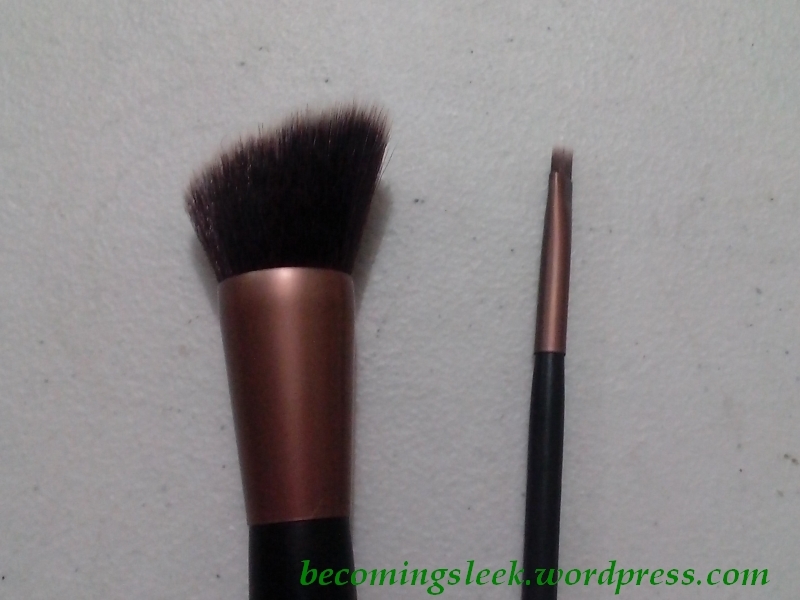 Unlike other cheap brushes, I haven’t experienced any shedding yet. 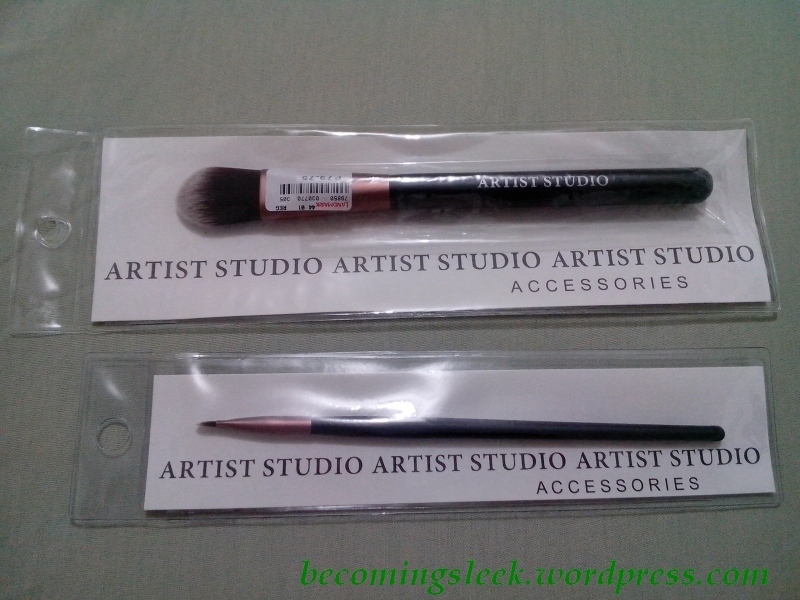 The small brushes are Php49.50 while the big brushes were something like Php129.50, all bought from Landmark Trinoma. This is another item in my future nail polish remover comparison. 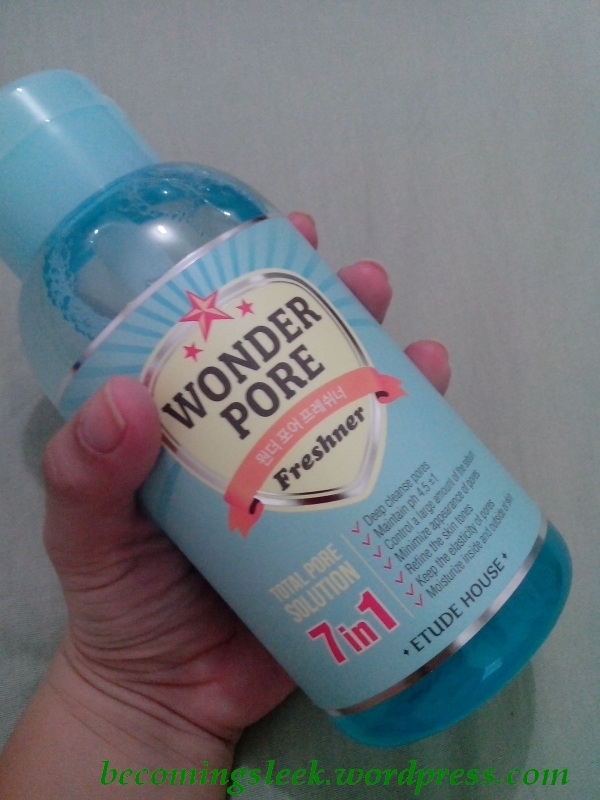 It costs Php78, and I got it from the Trinoma branch. 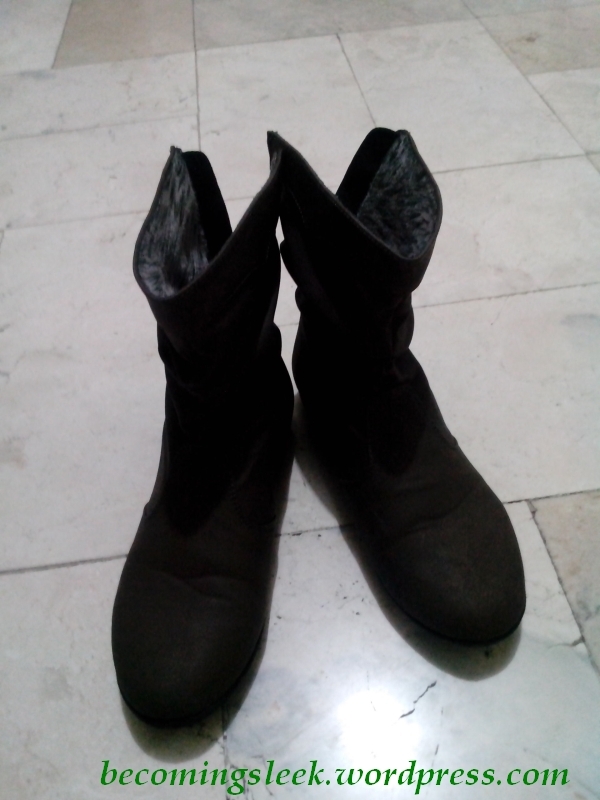 I got this from the I’m Shoe in Love Bazaar at the NBC Tent last July 20. Yes! After a long long search I’ve finally completed my lineup for the epic comparison post. 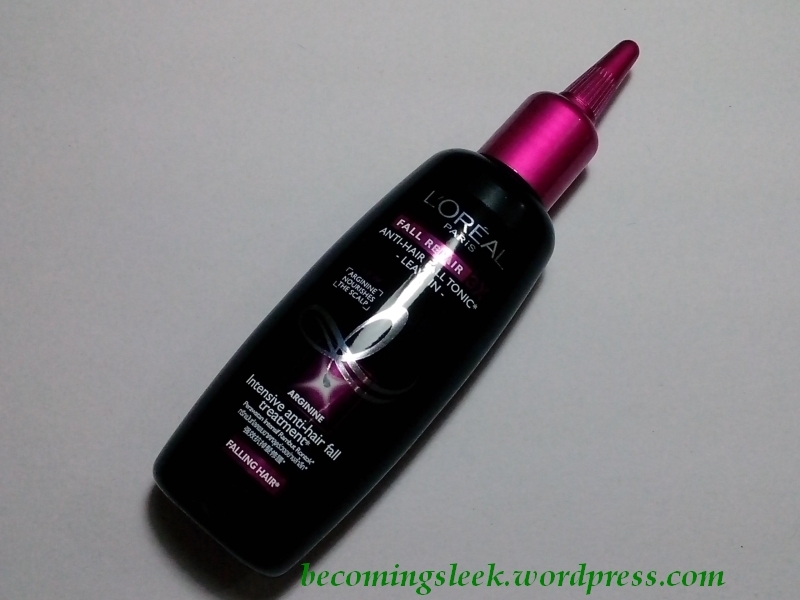 This is the Extra Strong variant (purple) and costs Php129.50. 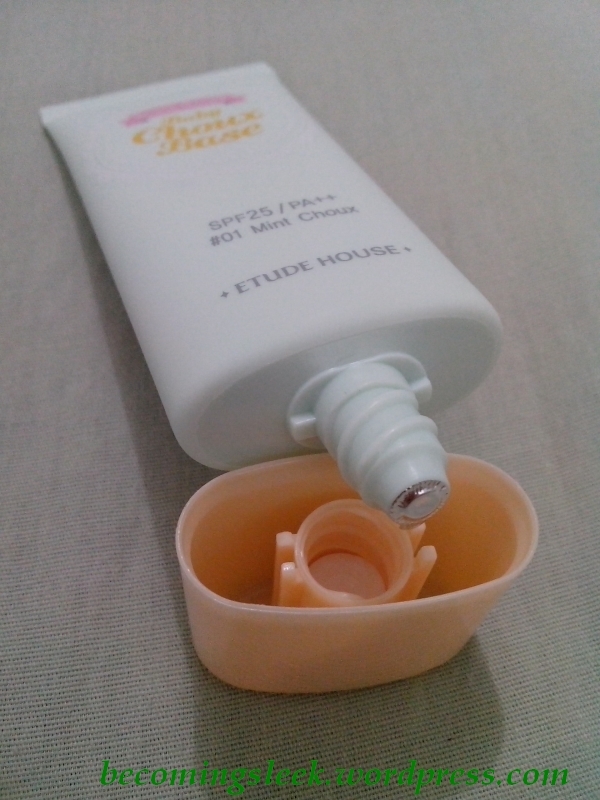 Etude House has a milder version (pink) and costs Php95. The sales assistant told me that this variant is usually for removing glitter polishes. 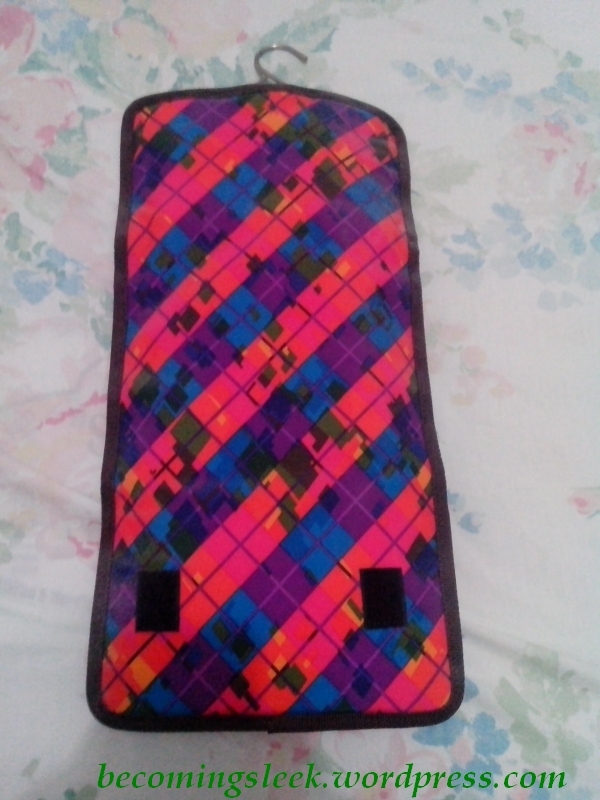 I bought this from the EH branch in Megamall. 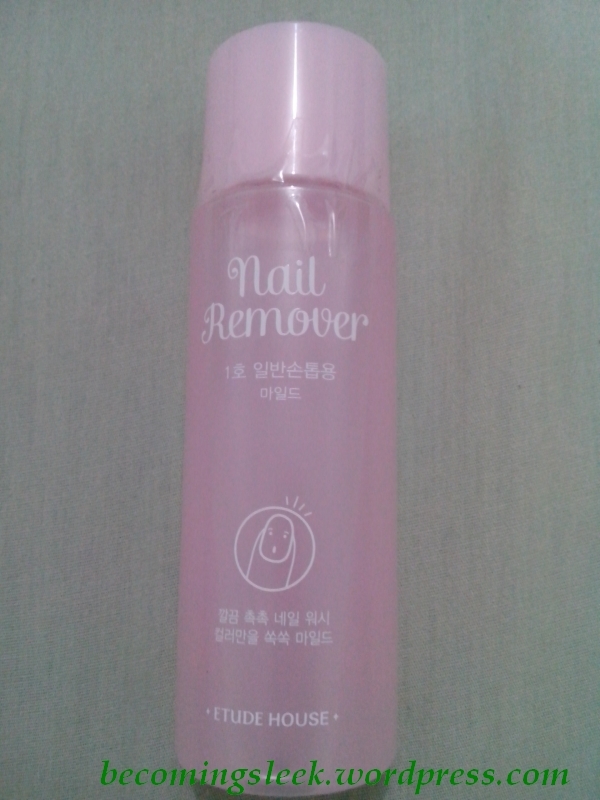 Note that this and the Face Shop one both say “Nail Remover”. They actually just remove the nail polish, not the nails! 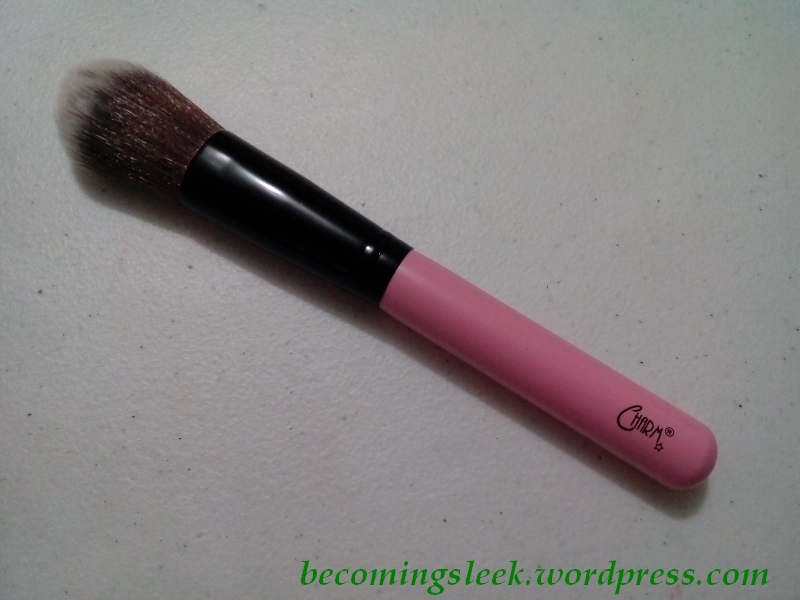 I’ve been hearing about this brand from my fellow bloggers and I got super curious. 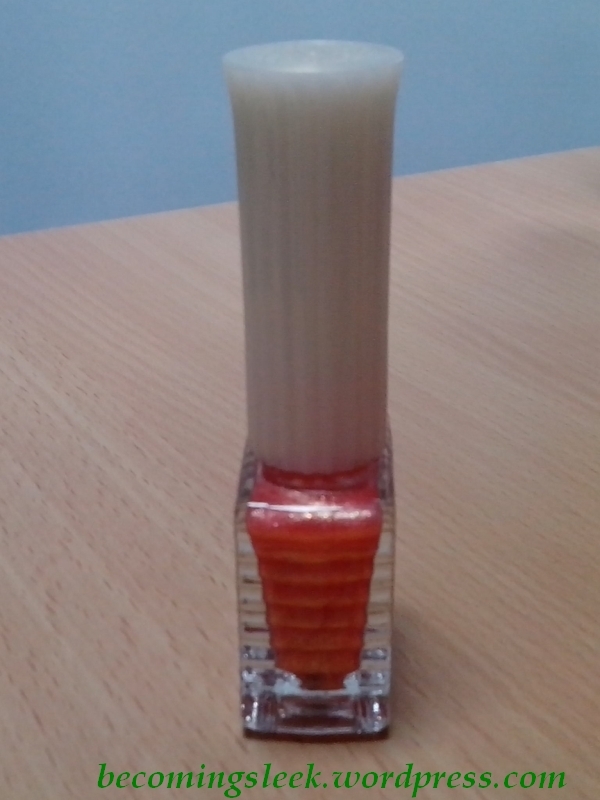 I chose Nina, a nice peachy-red glitter shade, which was also recommended by the sales assistant. Can’t wait to try it out! 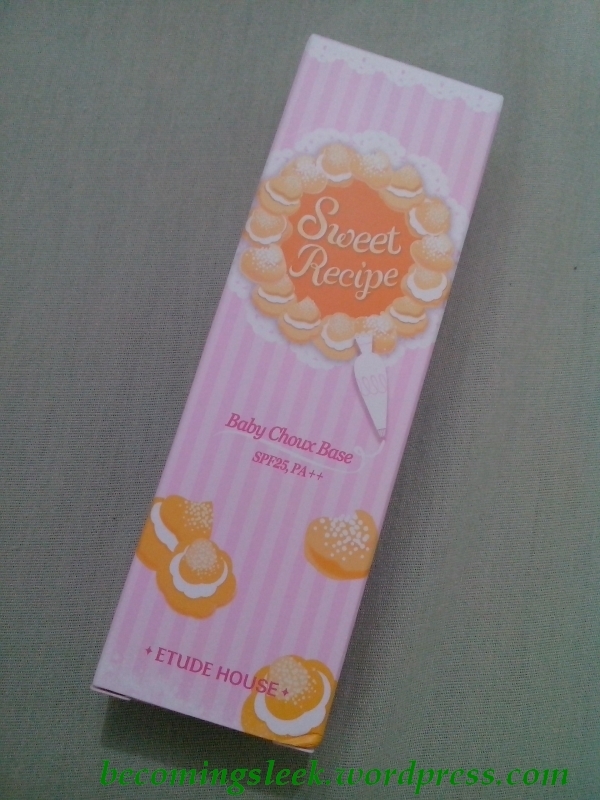 I got this from the Girlstuff stall in Megamall. Whew that was a rather huge haul. 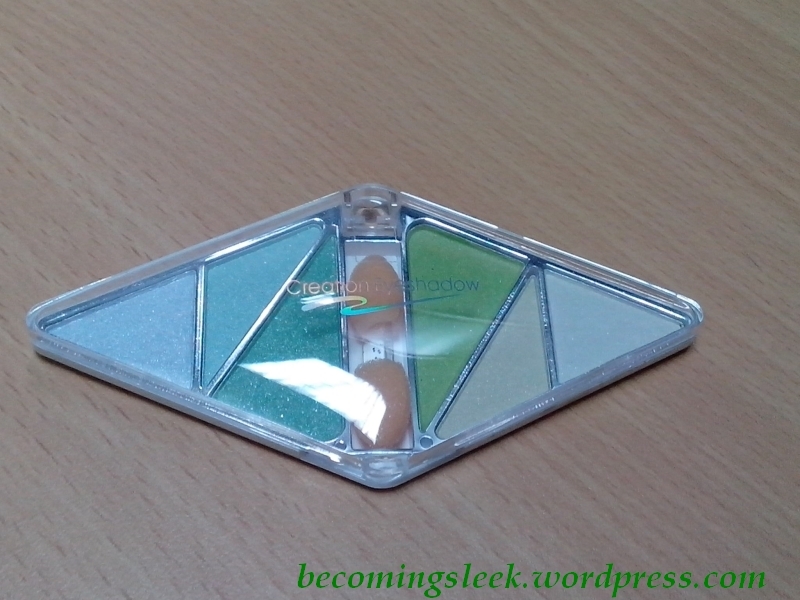 This is a sort of preview of what you will find in the blog for the month of August. It may be a little early since it’s just the first-ish week of June, but this post serves a reminder for me to stop buying things. You’ll see that I’ve bought a ton of stuff, and I need to consider the wisdom of splurging like this (I’m supposed to be frugal!). I do want to show you the things I bought as a preview of the reviews I’ll be posting soon, and to tell you where to get these things and for how much. 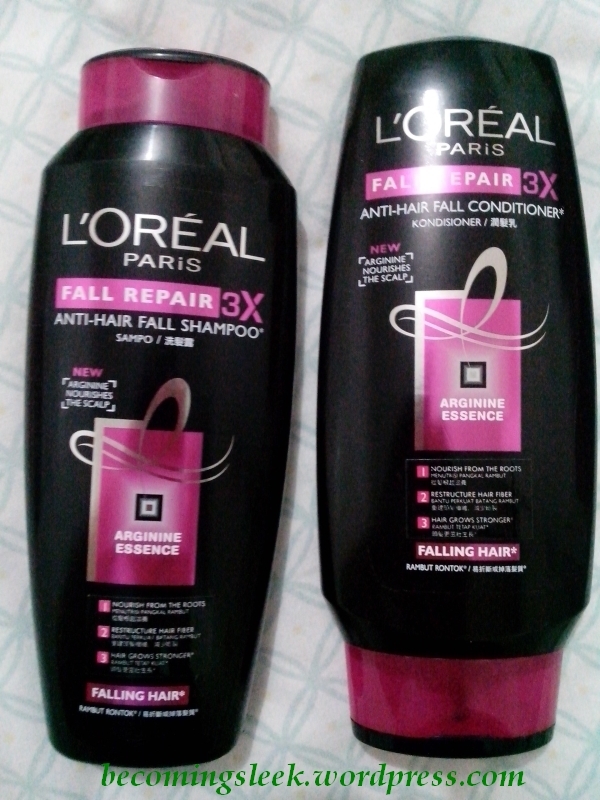 First up is L’Oreal Paris Fall Repair 3x trio of products. I got the big versions of the shampoo (Php110) and conditioner (Php119) from Watsons, and I also got the leave-in tonic (Php259) from SM Department Store (Makati). I bought these to finally address my ongoing hairfall issue. I’ll report back in about a month or so to tell you if these things worked for me. 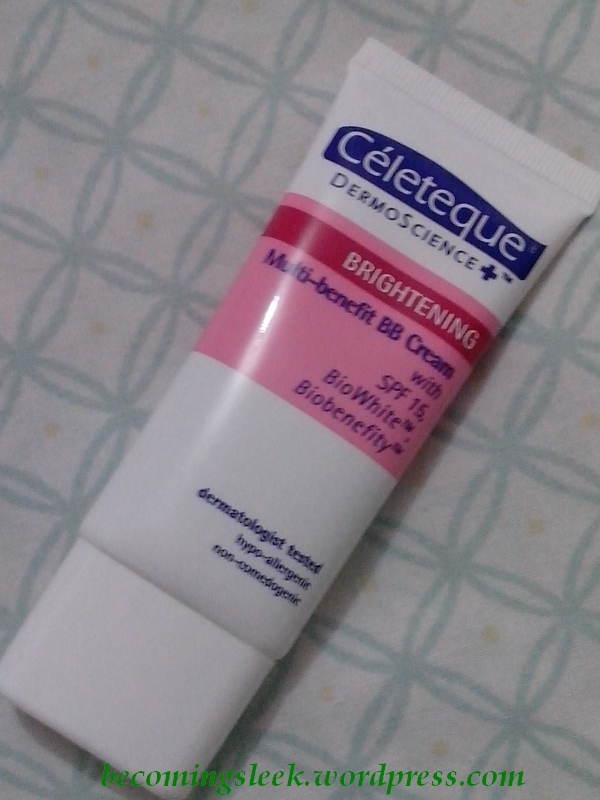 I finally caved in and bought this Celeteque Brightening Multi-benefit BB Cream (Php325, Watsons). I couldn’t stand just reading about it on the internet, so I went ahead and tried this for myself. 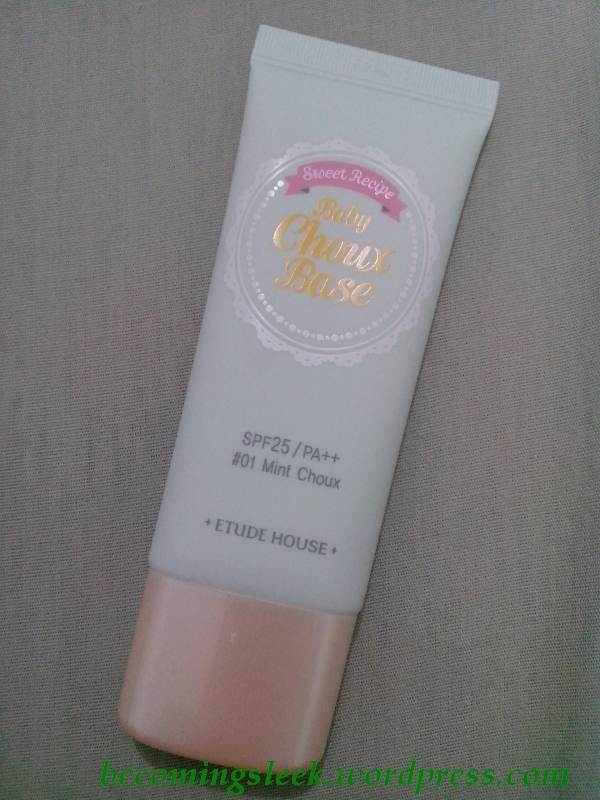 After a few days of use, I can say as a short review that this is a great everyday BB cream that’s very reasonably priced. Hooray! 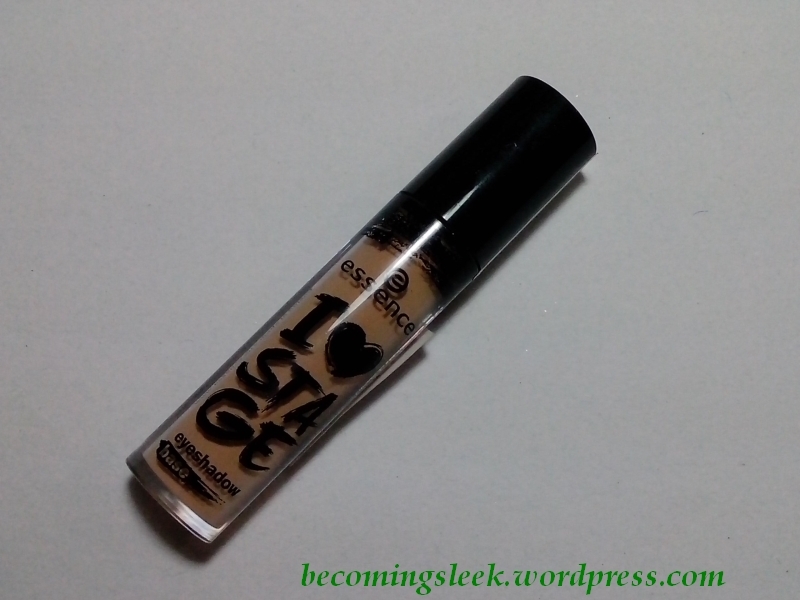 I finally found time to drop by SM Makati, and went straight to the Essence booth in the department store. 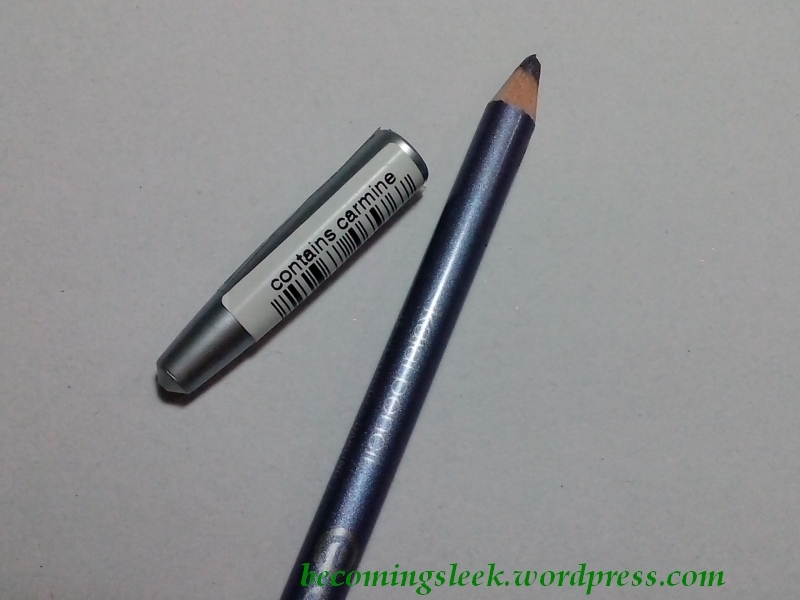 I bought a couple of items: Essence I Love Stage Eyeshadow Base (Php189) and Essence Kajal Pencil in Everybody’s Darling (Php79). 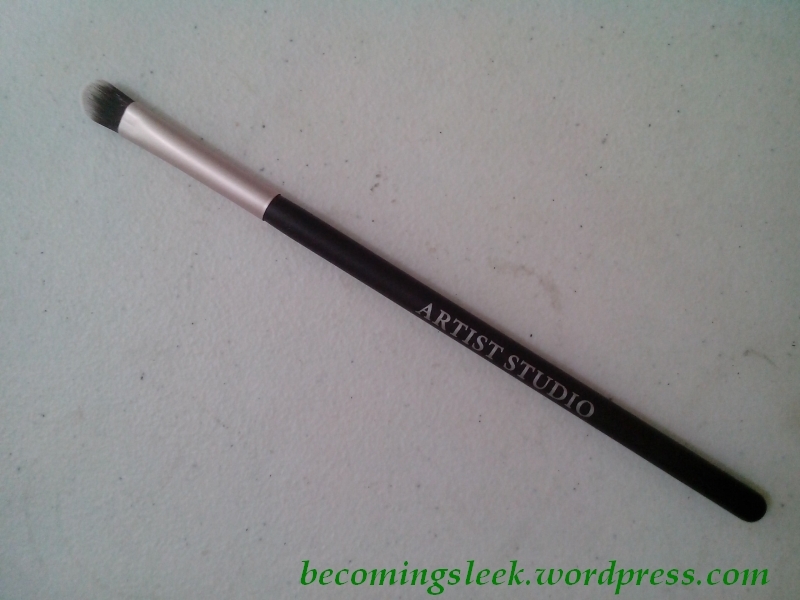 I’ve only so far been able to try the Kajal Pencil. 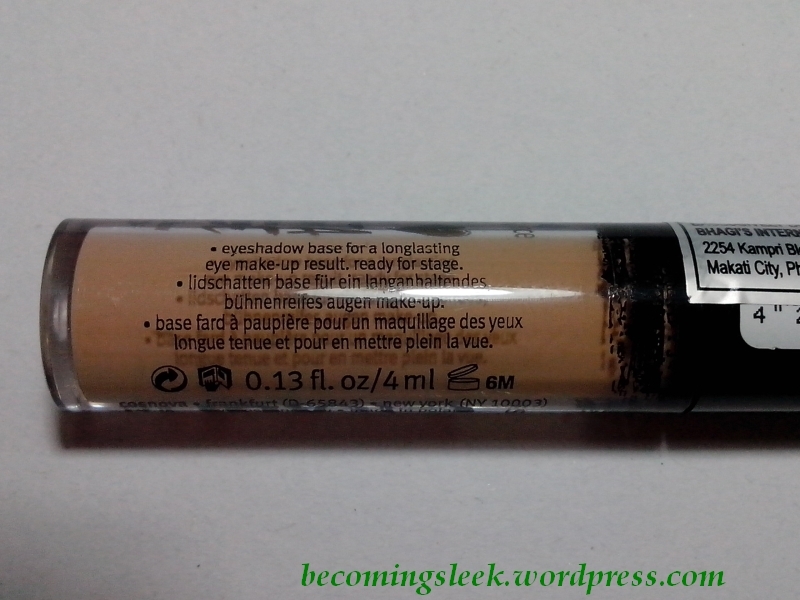 I love the color payoff and the fact that it’s pretty long lasting, however the product is very soft and needs a very light touch to apply. I’ll definitely post a review of both of these soon. 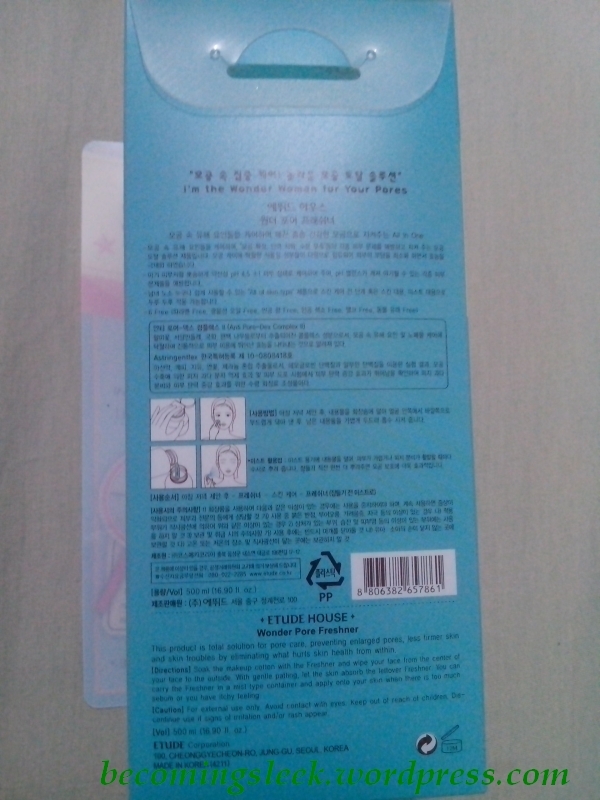 I also got a couple of nail polish removers from SM Department Store as well. 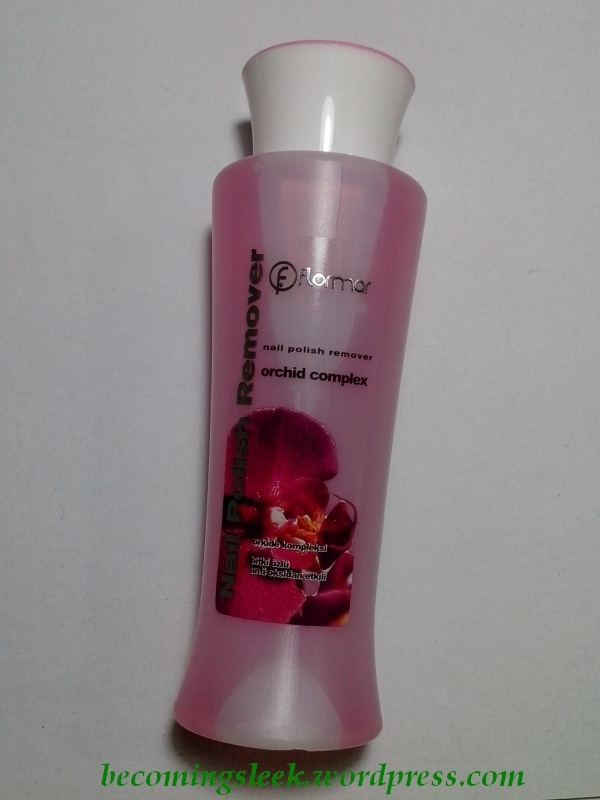 I am planning a comparison post of nail polish removers, and I wanted a good range of brands. These two are the Cutex Caring Nail Polish Remover (Php59, 59ml) and Flormar Nail Polish Remover in Orchid Complex (Php149, 125ml). 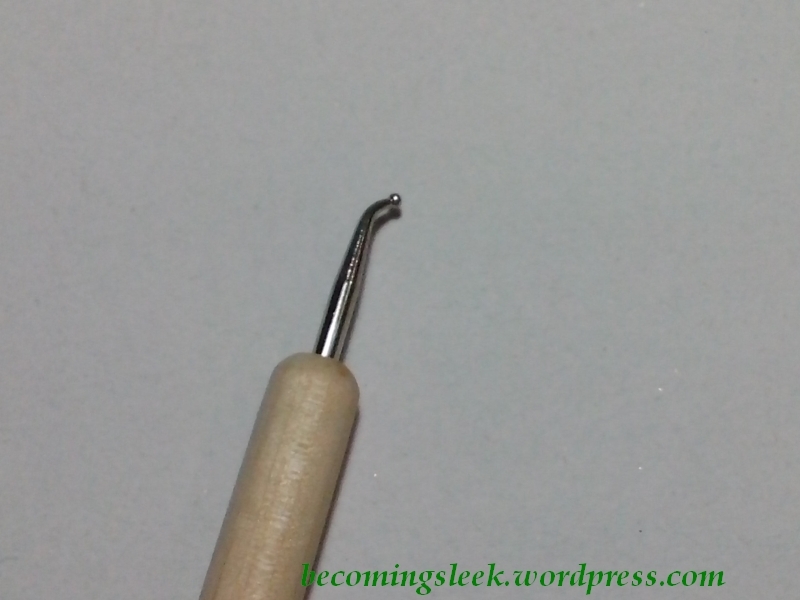 I’ve already shown these in my previous post, but I got my first nail art tool. 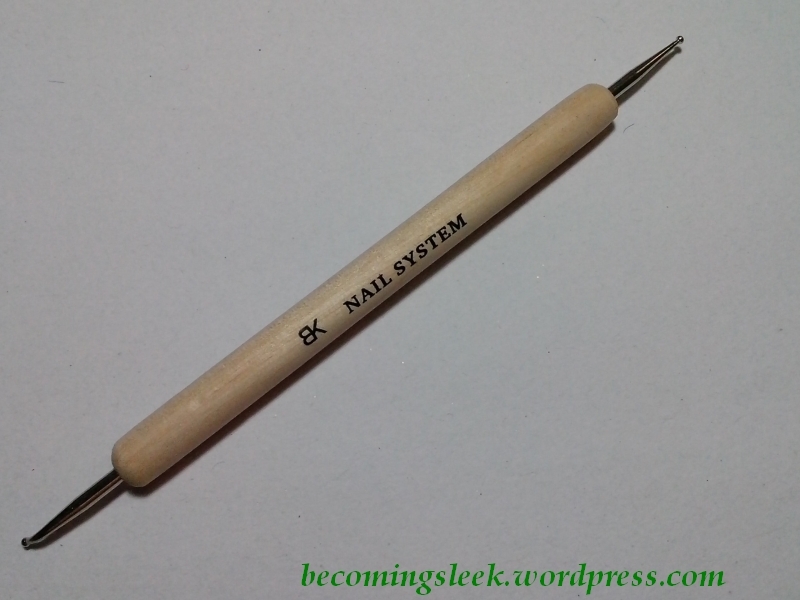 It’s the BK Nail System Dotting Tool (Php69, Landmark Trinoma). 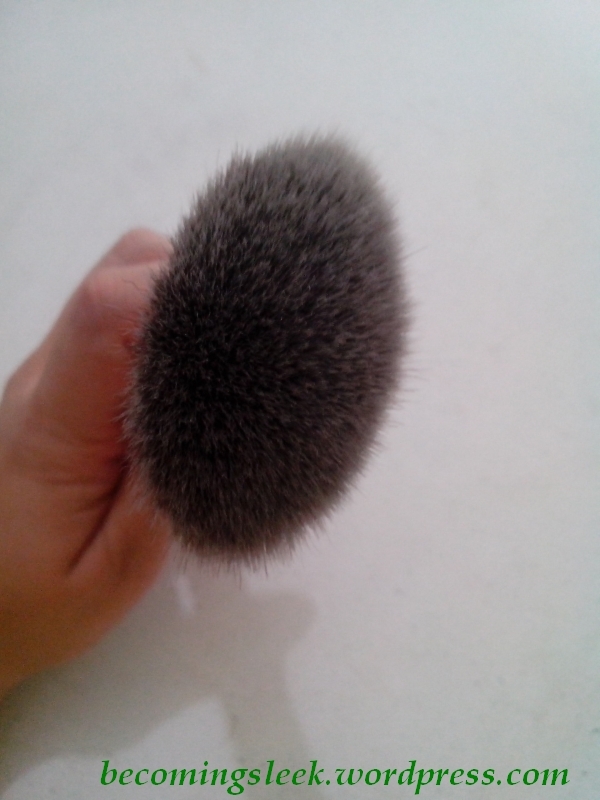 It has two heads: a standard straight dotting head and a bent-tip dotting head. 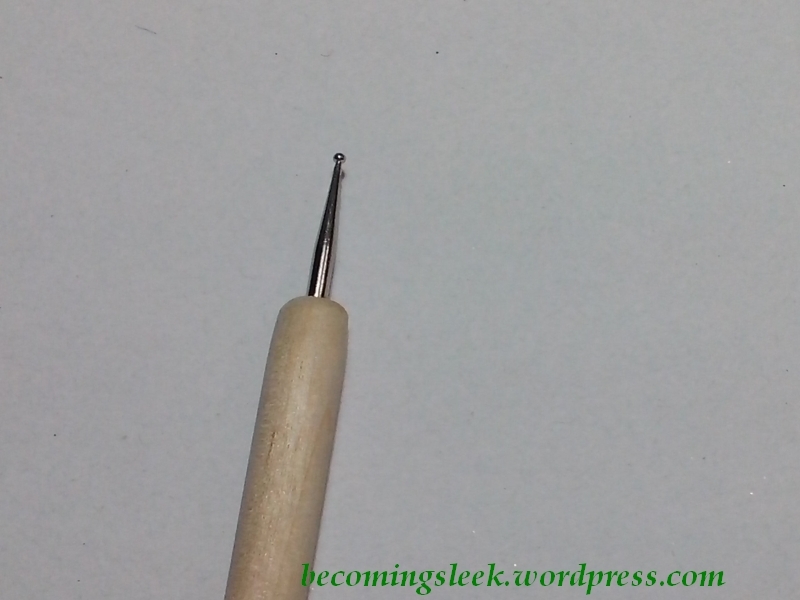 I love this tool and I think I can probably not buy further dotting tools. 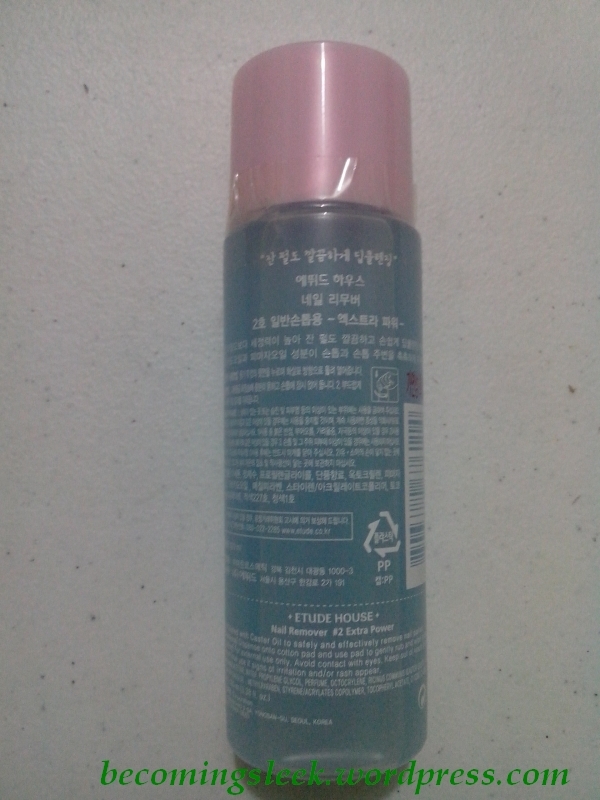 I paid a visit to the Commonwealth branch of Human Heart Nature and got this Body Butter Cream in Berry Bliss (Php279). I love this body butter so much as it feels very decadent and smells so wonderful! I pamper with this about once a week after a good long bath. I also bought the May-June magalogue. 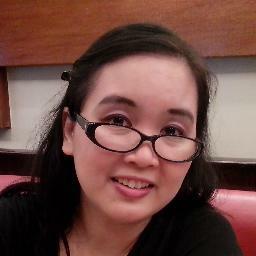 I got a tip from Aya of CodenameAya that my blog was mentioned there. And it is! I’m still pretty much in shock. I’ll post pictures of that soon. This next one is a confession. 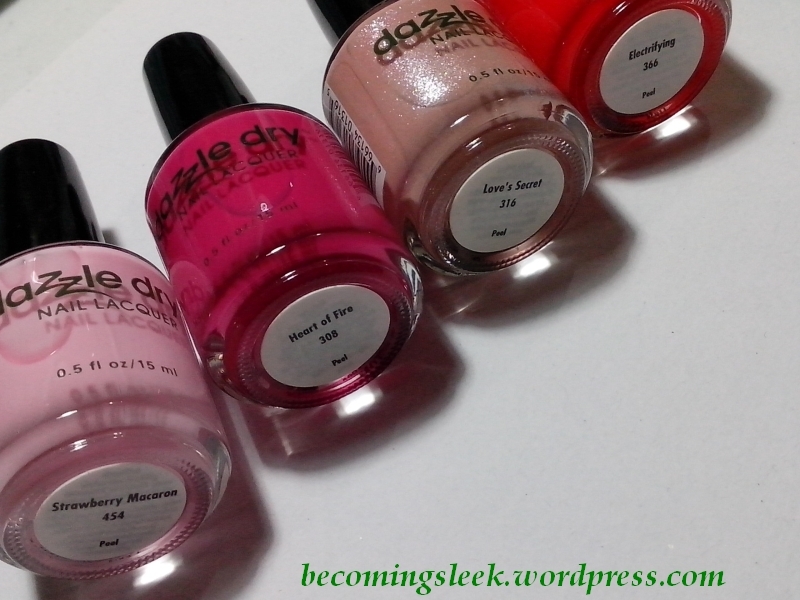 I went ahead and purchased more stuff from Dazzle Dry since they extended the sale until June 15! I got four (yes four!) 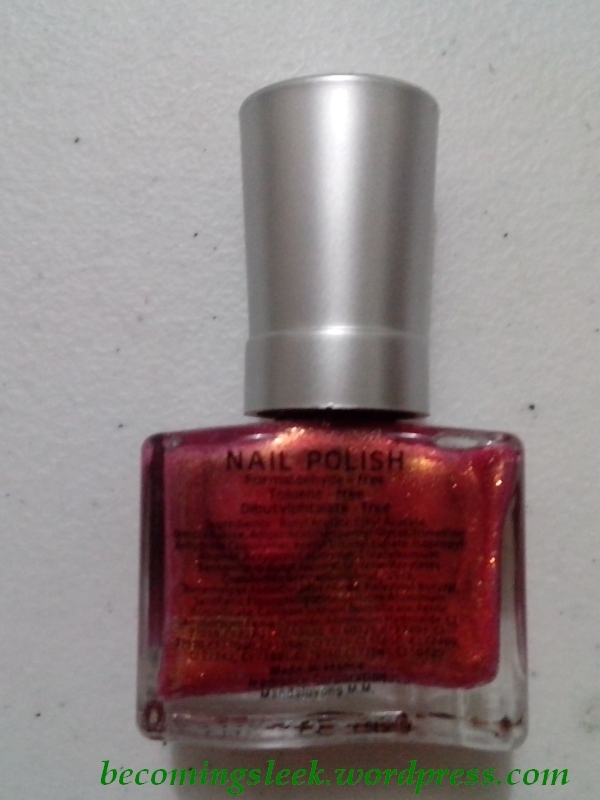 more lacquers (Php399 each) and a bottle of nail polish remover (Php325, 240ml). The four shades are (L-R) Strawberry Macaron, Heart of Fire, Love’s Secret, and Electrifying. 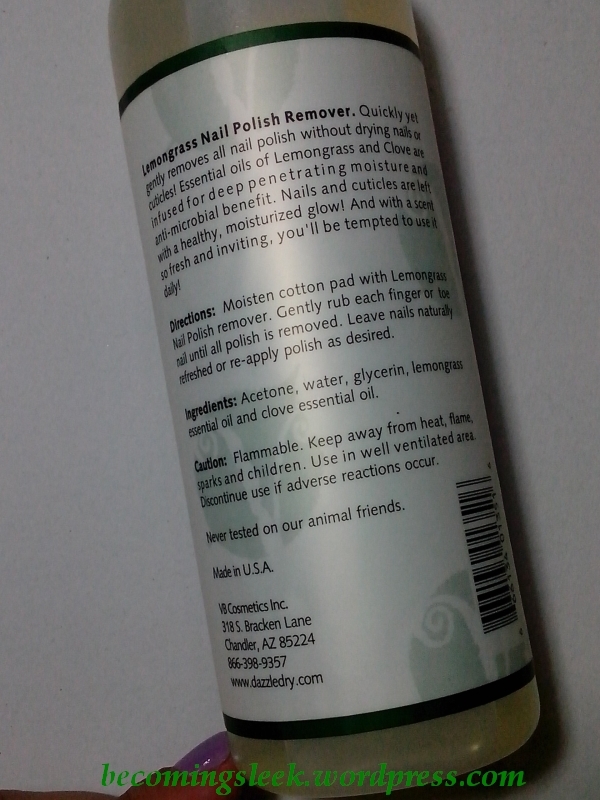 The polish remover is called Dazzle Dry Lemongrass Nail Polish Remover, which I intend to include in that future comparison post. And there you have it! I think I may have a couple of other things I purchased but I don’t remember right now. I’ll update this post when I found those other things, or just consolidate them in another haul post. I don’t really intend to get any more stuff except for more brands of nail polish remover. Let me know in the comments below which of these you want reviewed first! I want to start by saying, I LOVE Saizen. I have always loved their bento materials back when I still had time to make everyday bentos. 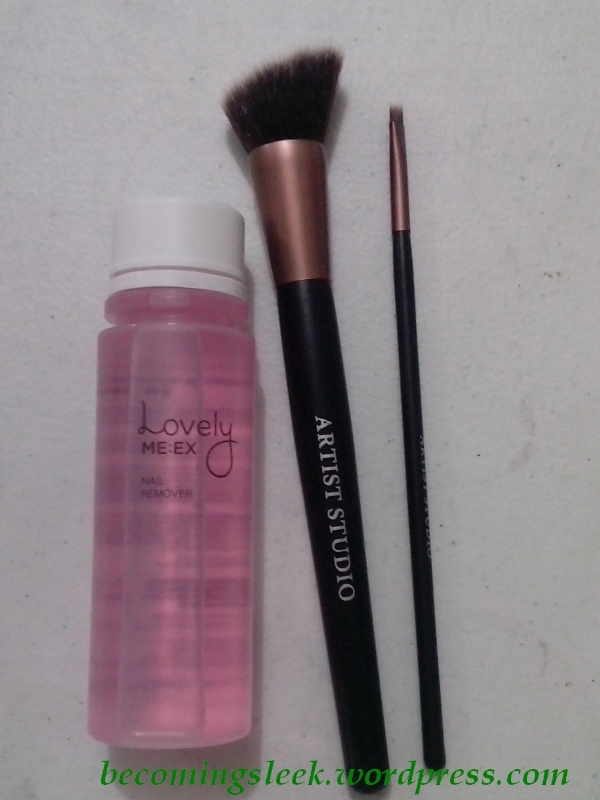 Now that I’m concentrating on cosmetics and beauty products, I came back to my original love and found great products for my newfound hobby. 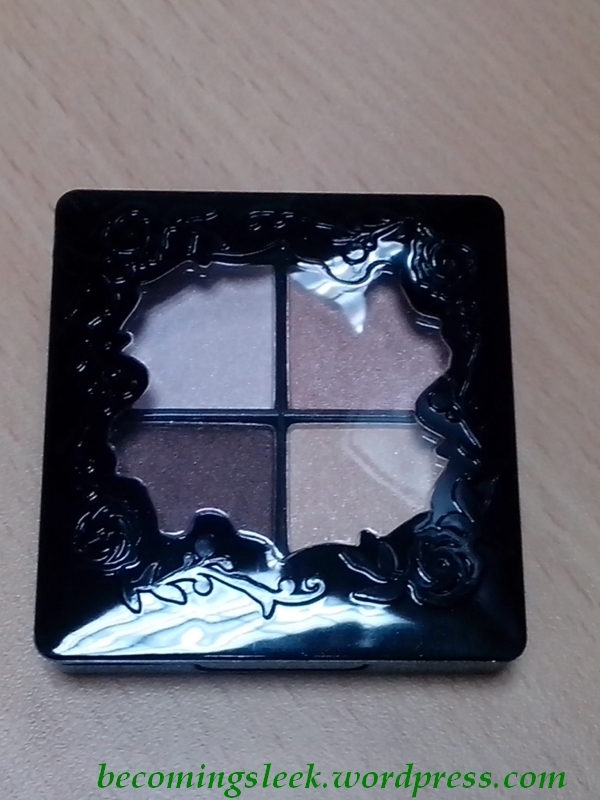 I was lucky to catch an end of season sale at Saizen, and I got this Creation Eyeshadow palette for only, get this, Php25! It’s even in the 2013 color, green! 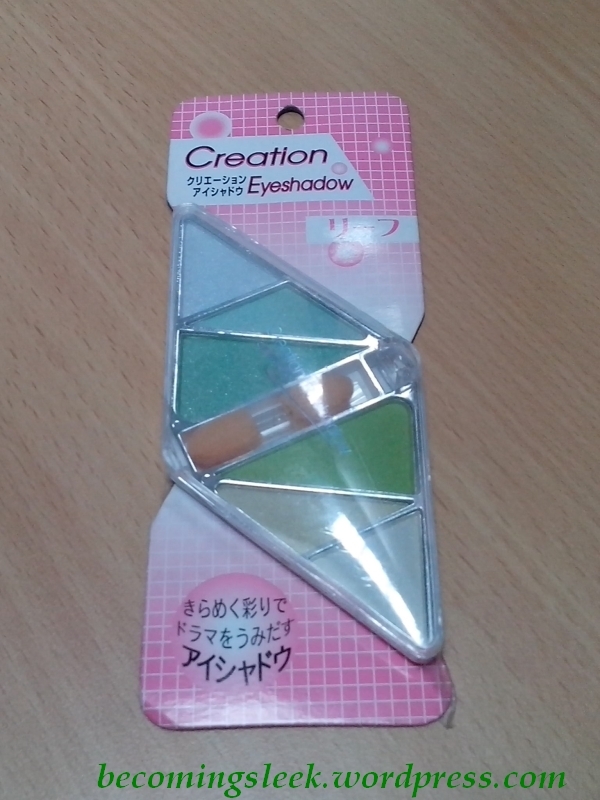 This amazingly cheap palette has six pans of eyeshadow, three of which is a shade of green. 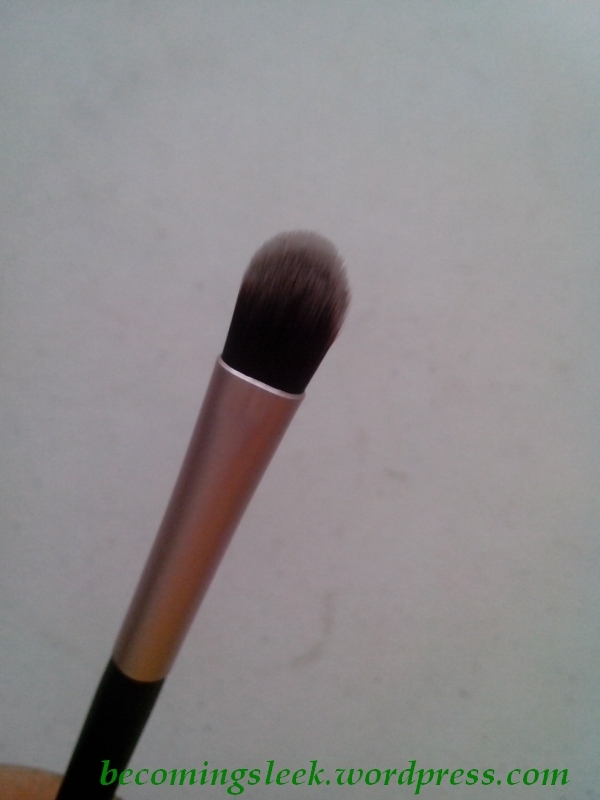 The other three are a very light baby blue, a taupe/tan, and what is probably white or very pale cream. All shades are shimmery. 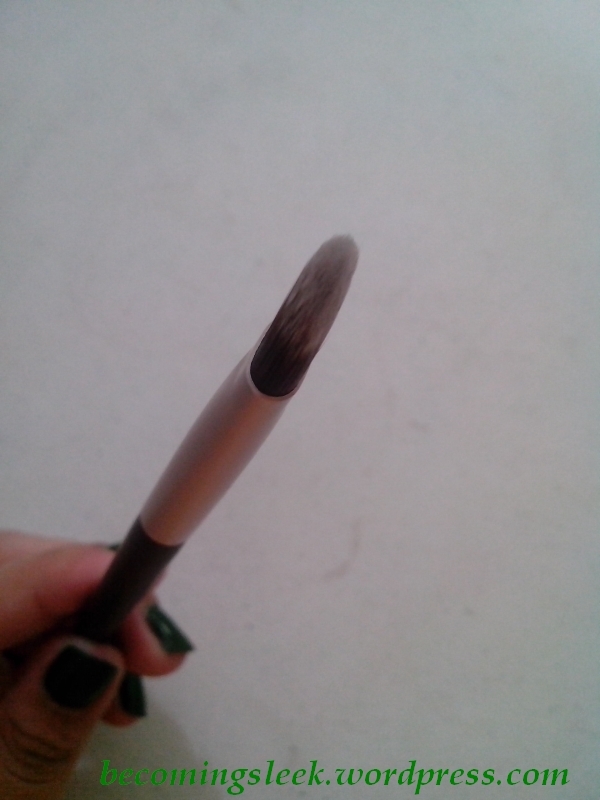 It also comes with a probably-unusable double-ended brush, and it has no mirror. 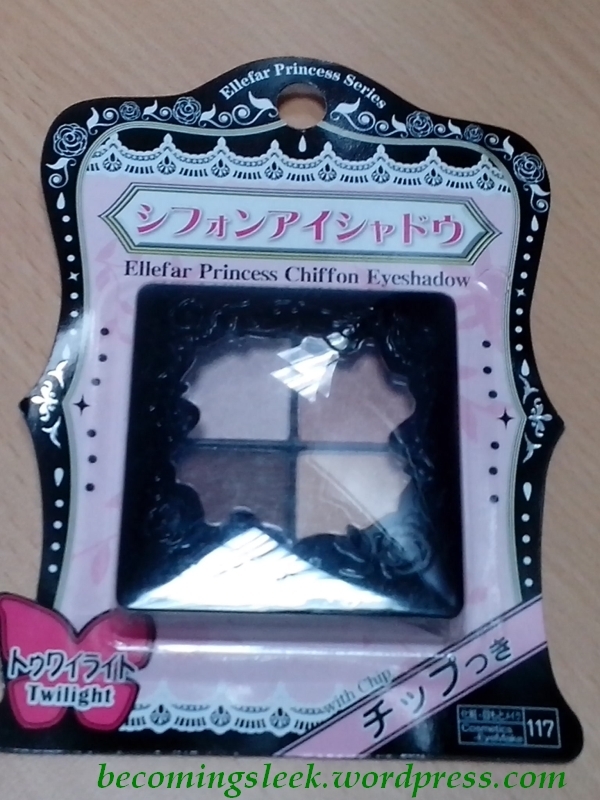 I also got a couple of this Ellefar Princess Chiffon Eyeshadow, a 4-color eyeshadow palette that comes in an attractive black plastic compact with rose details. The first palette is in Twilight, and the shades are (clockwise from top left): a very light pink as a highlighting color, a tan/brown for the crease, a yellowish beige for the lid, and a dark chocolate for either brows or as a liner color. 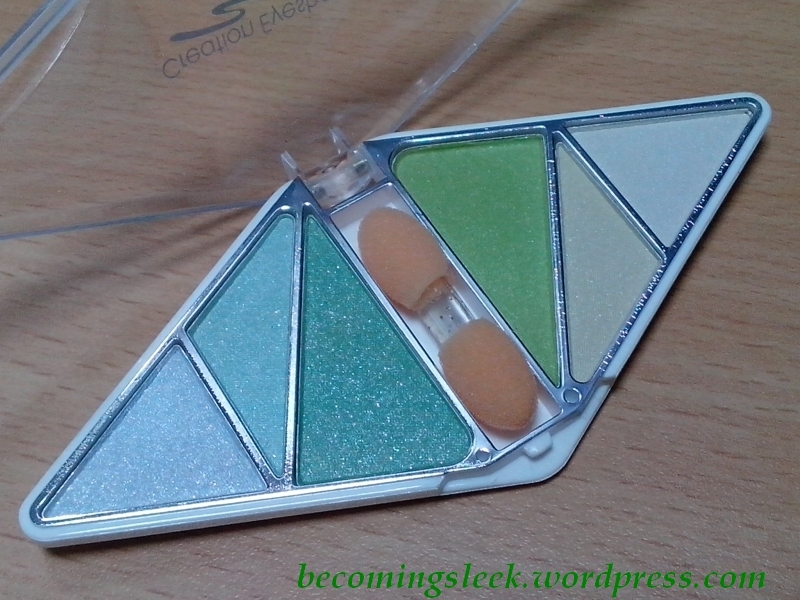 I should also mention that all colors are shimmery, and it doesn’t come with a mirror. 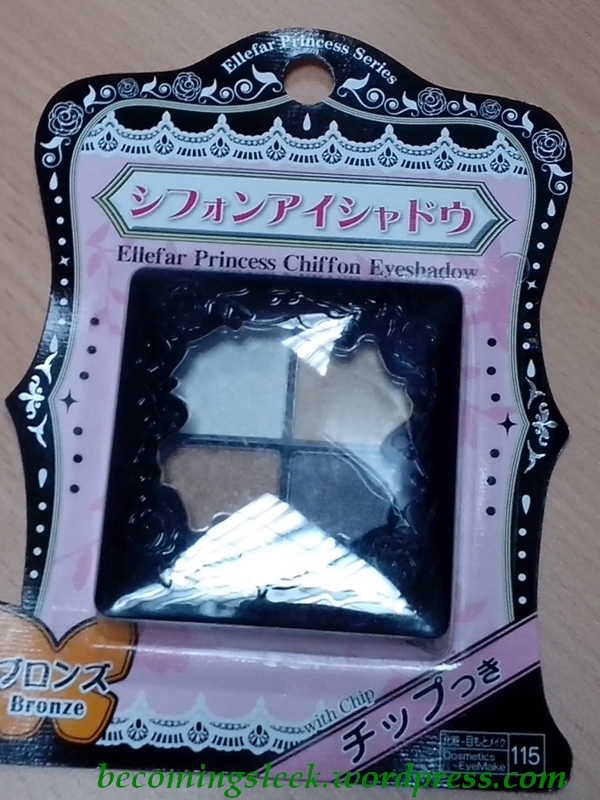 The second Ellefar Princess Chiffon Eyeshadow palette is in Bronze. 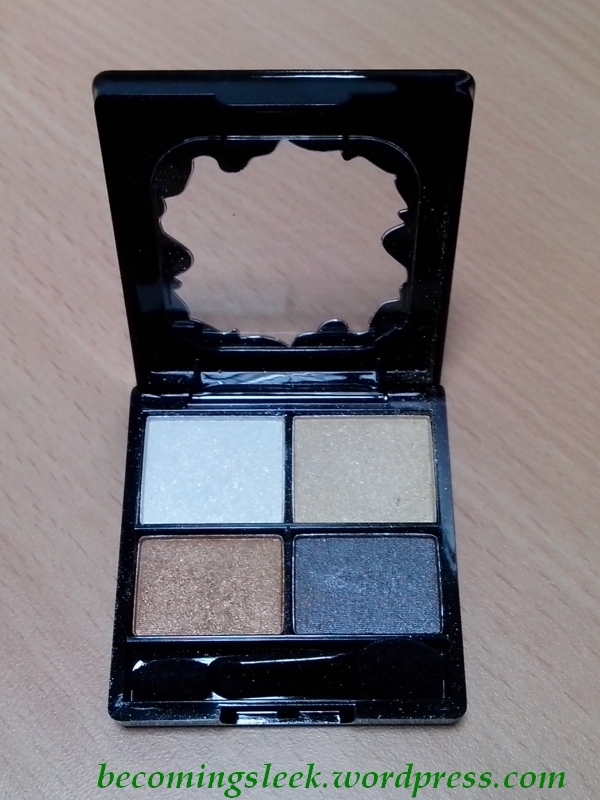 The shades are (clockwise from top left): a very light gray or slightly dirty white as a highlighting color, a pale tan for the lid, a black or dark gray for the brows or as a liner color, and a bronze for the crease. 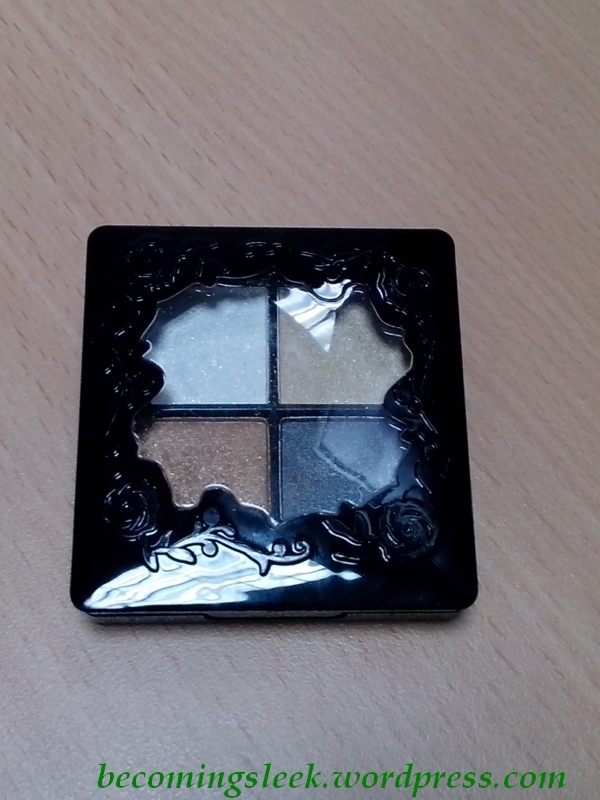 Again, all shades are shimmery, and the palette has no mirror. Both of these palettes are the standard Php88. 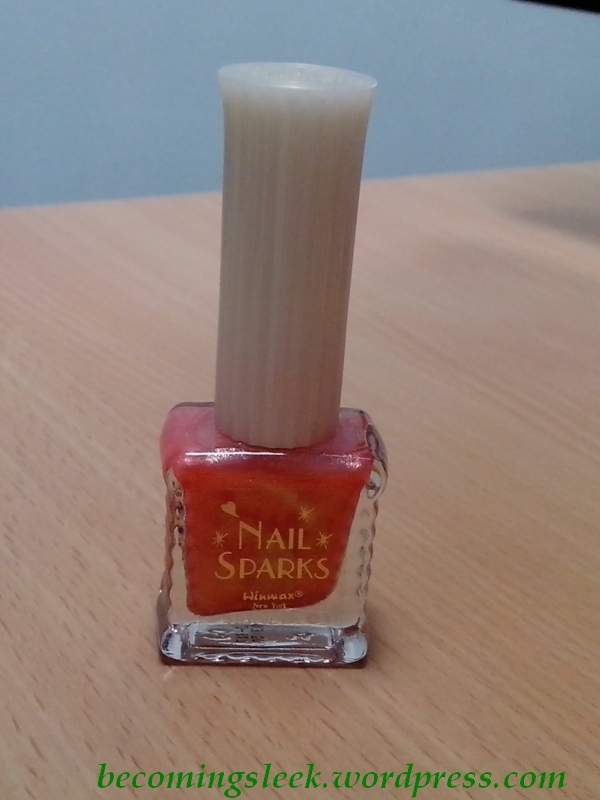 Finally, I got a Winmax Nail Lacquer, Nail Sparks variant (#8 shade). 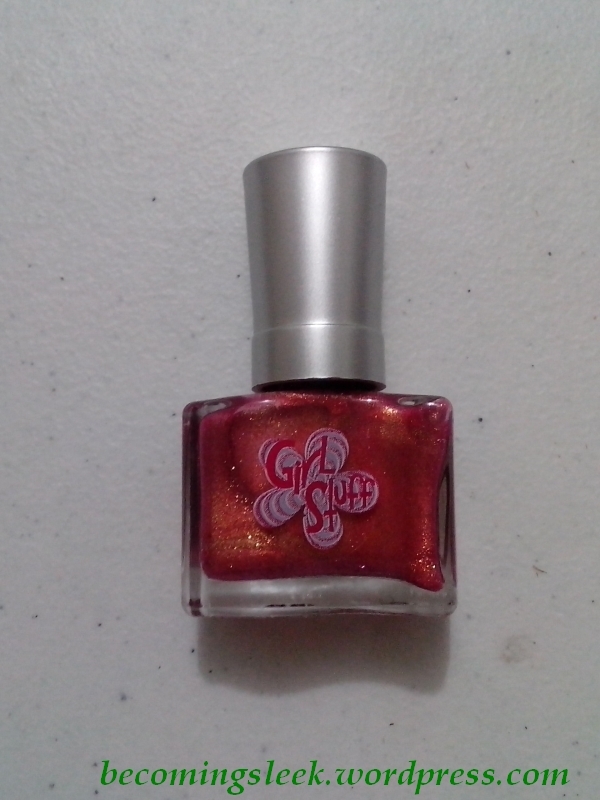 It’s a very shimmery candy red shade. It’s also Php88. 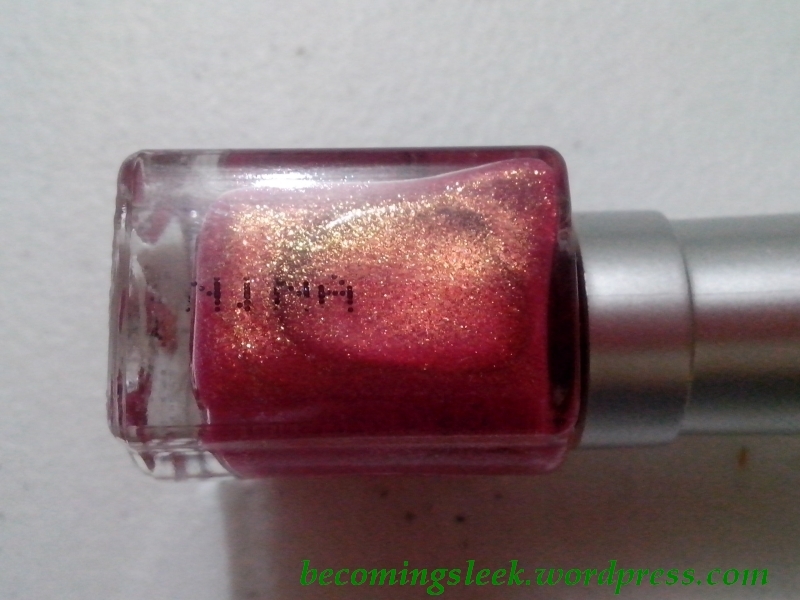 Here are shots of the bottle, and the swatch (3 layers). I’ve used all of the products above and I am generally pleased with all of them. I use the Ellefar palettes regularly, although usually only single colors as the shimmers are pretty strong to use for the office. I really like the Winmax polish, it’s a fun sparkly shade to wear! 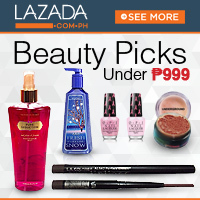 Do you shop cosmetics at Saizen? Tell me about it! 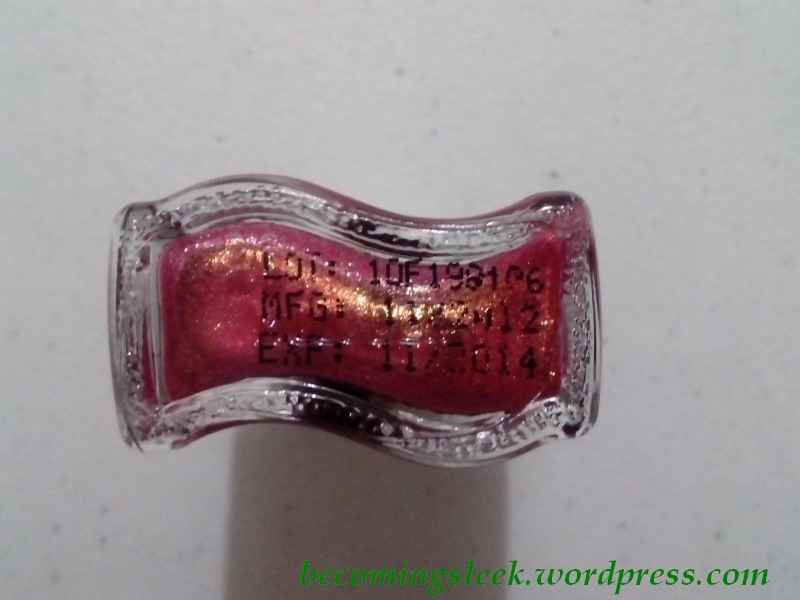 Three San San nail polishes from HBC, Php37 each. Shades: Amethyst, Arctic Green, and Lavender Blush. I needed a purple polish to go with my cocktail dress that I wore to a wedding. I bought two shades of purple just to be safe. I’ll be putting up the swatches soon. 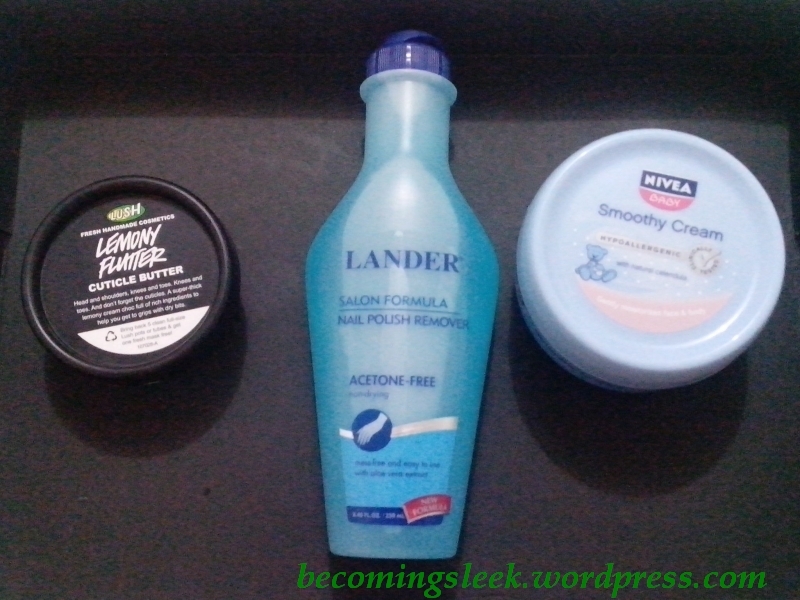 Lemony Flutter Cuticle Cream from Lush, Php450; Lander Nail Polish Remover from Landmark, Php129.75; Nivea Baby Smoothy Cream from Landmark, Php164.75. As I have developed a rather serious hobby in nail painting, I decided I should be willing to invest in products that will help protect my nails. I’ve seen a lot of recommendations from other lacqueristas for Lemony Flutter, and I’m glad to have found some tubs in the Trinoma branch of Lush. 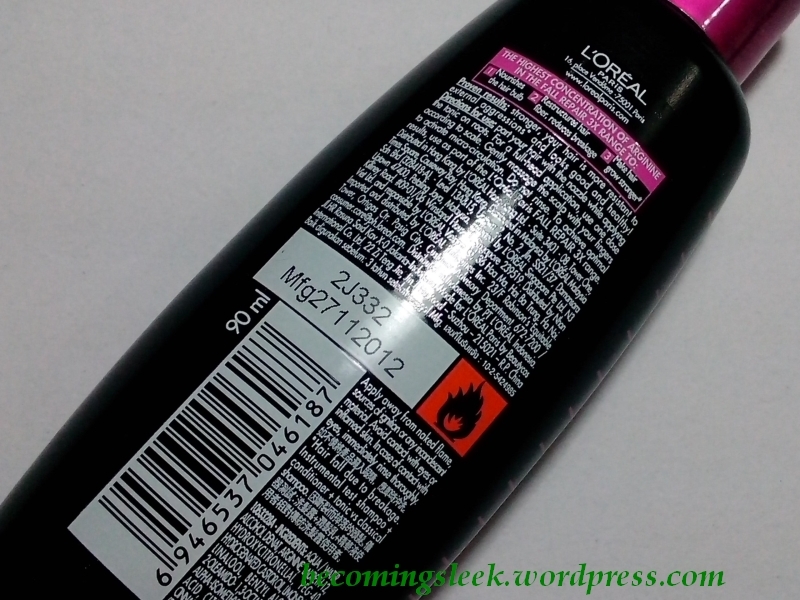 I am also about to run out of my Caronia nail polish remover, so I grabbed this bottle of of Lander. 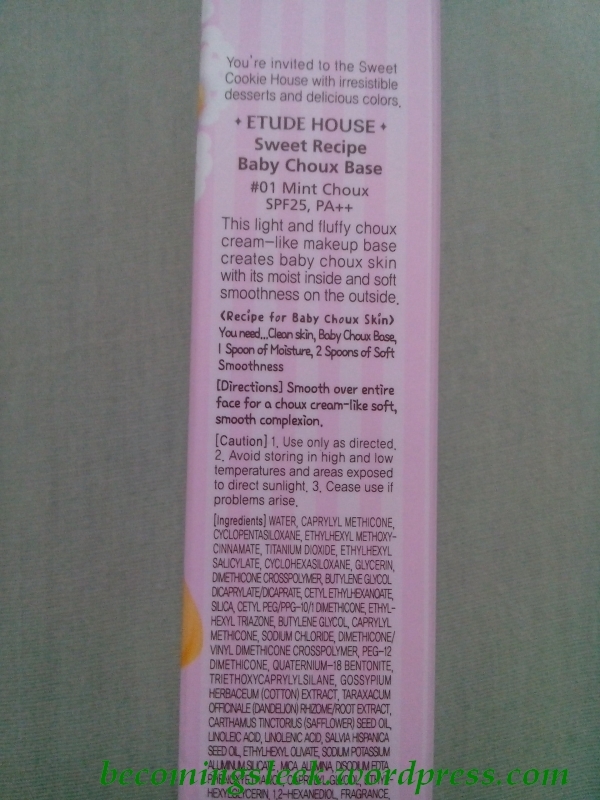 I’ve also gotten raves about the Smoothy Cream, used as a moisturizer. I can’t wait to try this out. 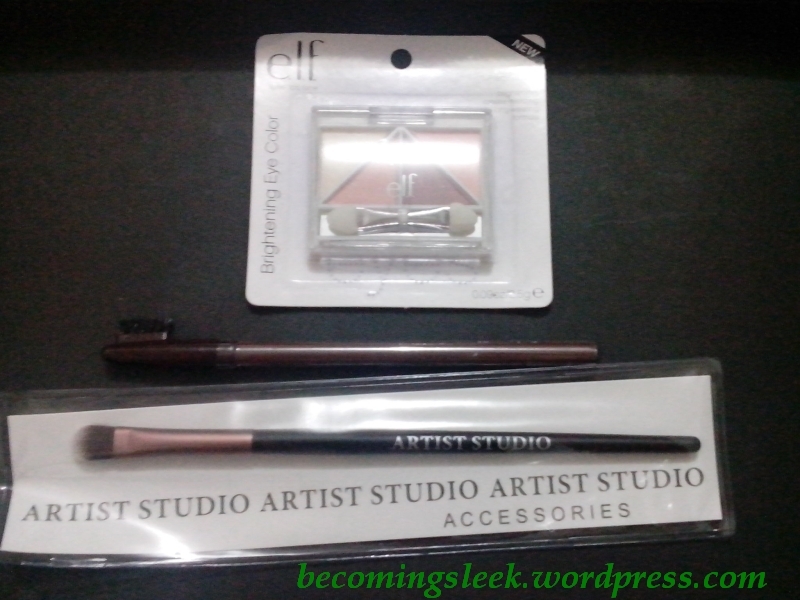 Elf Brightening Eyeshadows, Php129.75; Fanny Serrano Dark Brown Eyebrow Pencil, Php65; Artist Studio Concealer Brush, Php49.75; all from Landmark Trinoma. 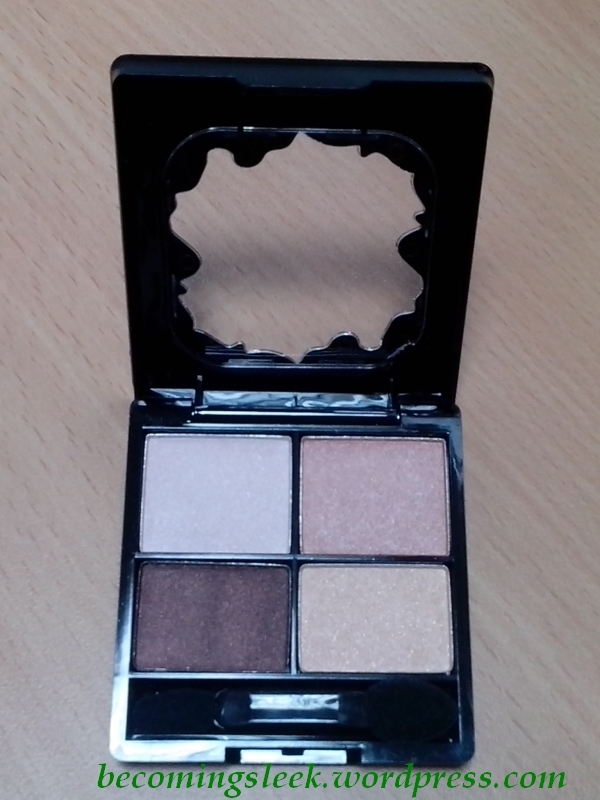 I wanted more neutral eyeshadow colors to play with, so I grabbed this neutral palette from the Elf counter. 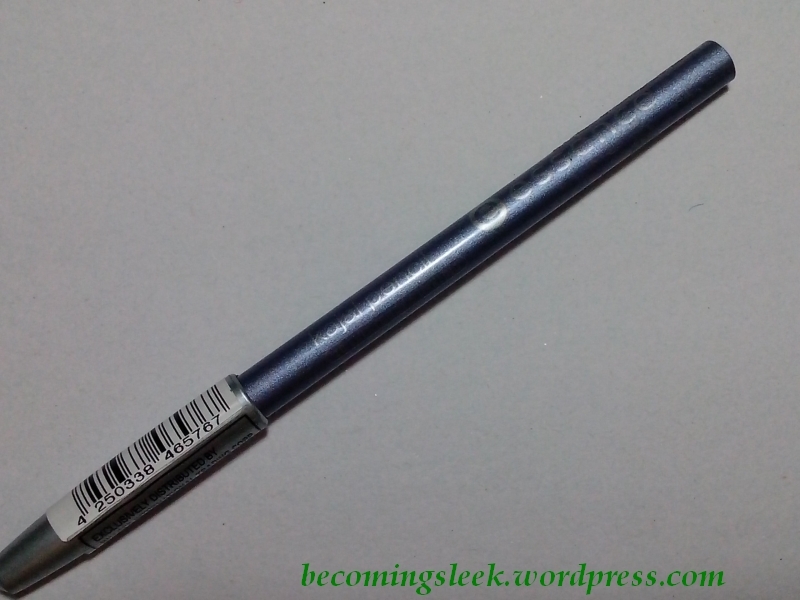 I also broke my Nichido eye pencil, so I decided to try out a new brand. 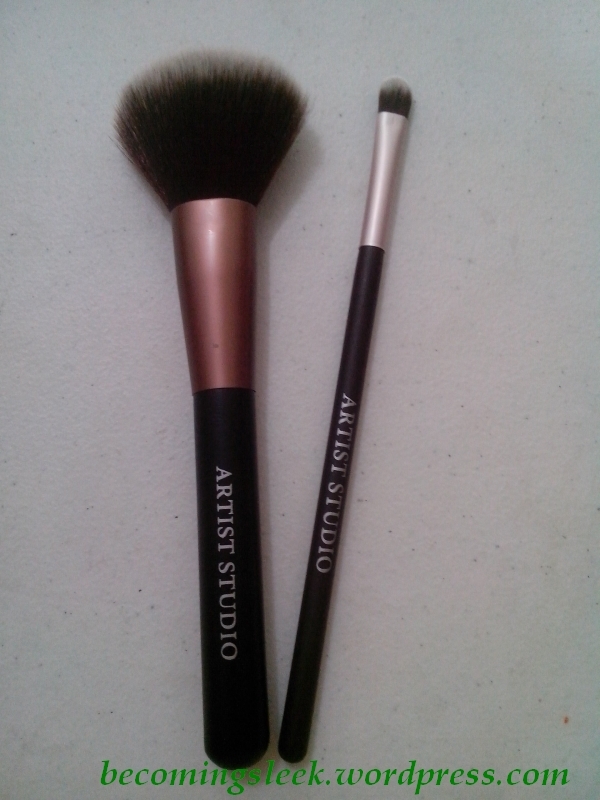 Lastly, I’m trying to complete a set of makeup brushes, and I decided to get a concealer brush for now. 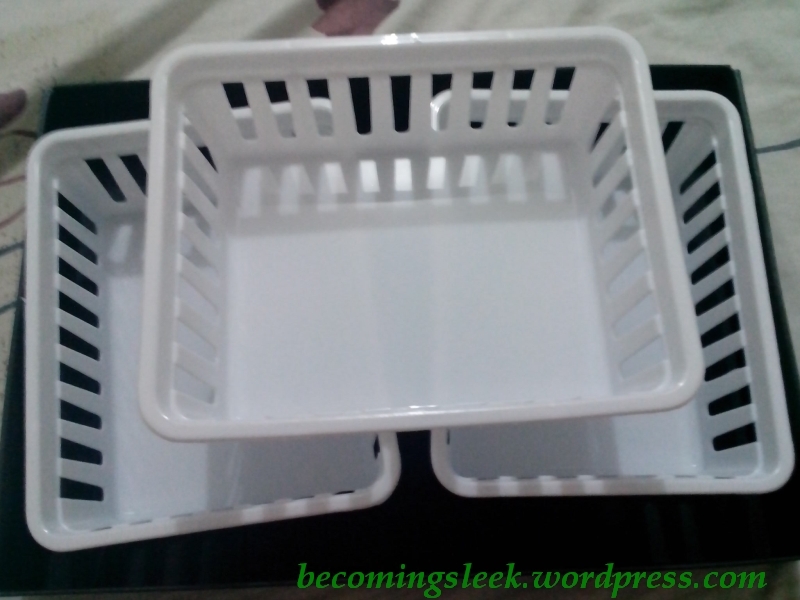 White plastic trays from Landmark Trinoma, 3 for Php49.75. I needed something to organize the small mess that is my makeup collection. These trays are cheap enough, and small enough to fit my dresser/shelf. I can’t wait to try them all out! Hopefully I can get things properly documented so you can see some of these reviewed here.